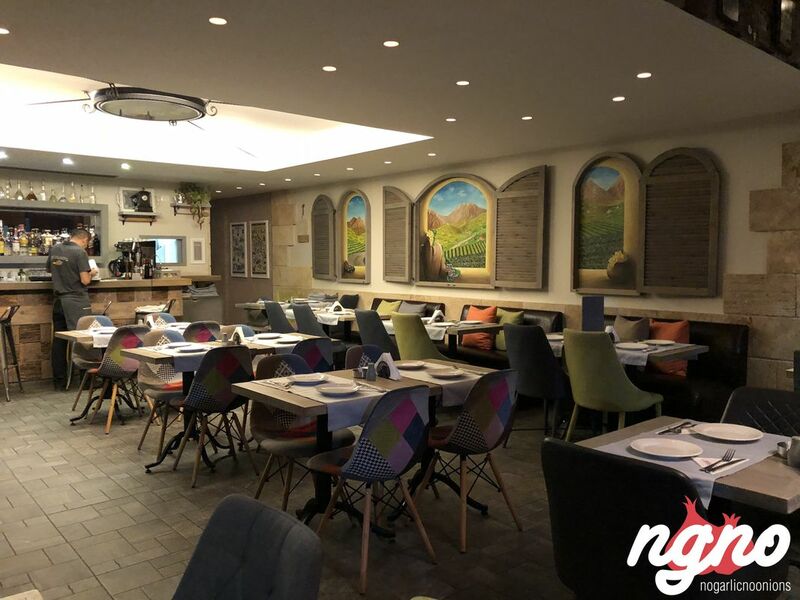 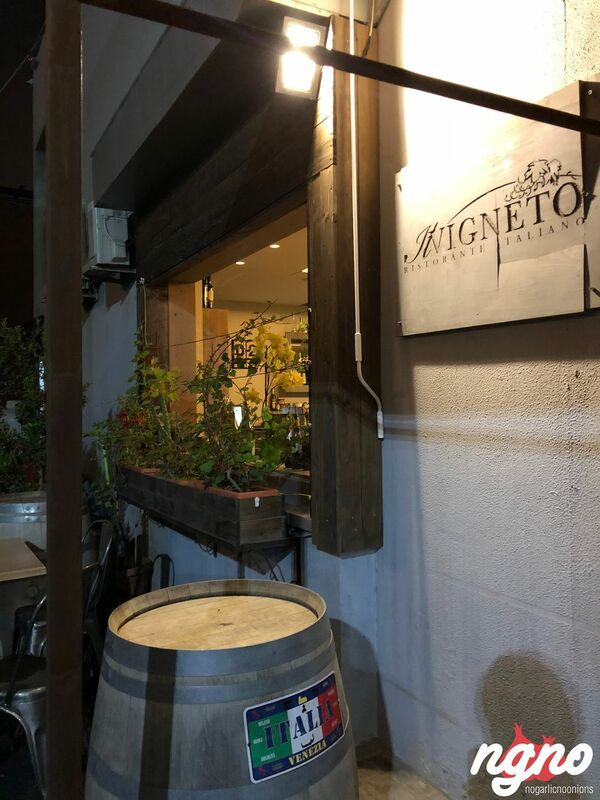 On Antelias highway, facing Aishti, next to Diwan Beirut, Il Vigneto is a casual Italian restaurant welcoming you in a relaxed ambiance. 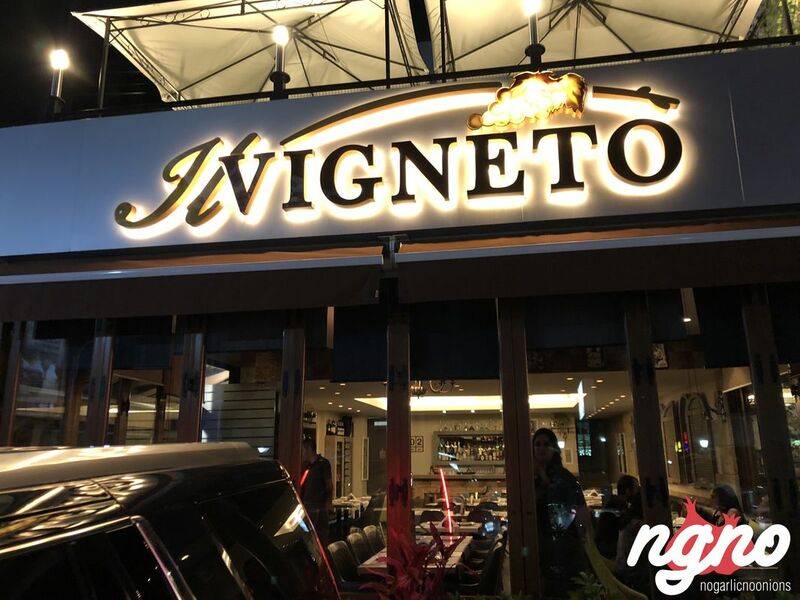 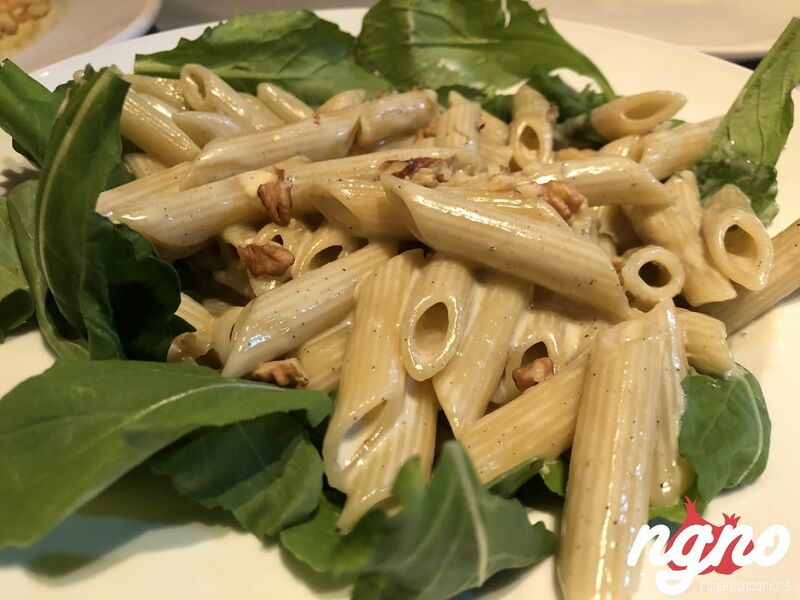 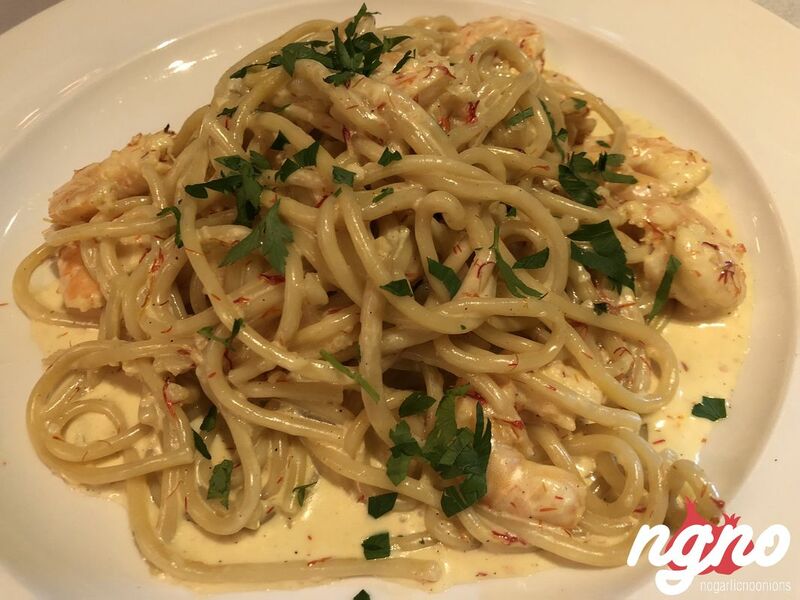 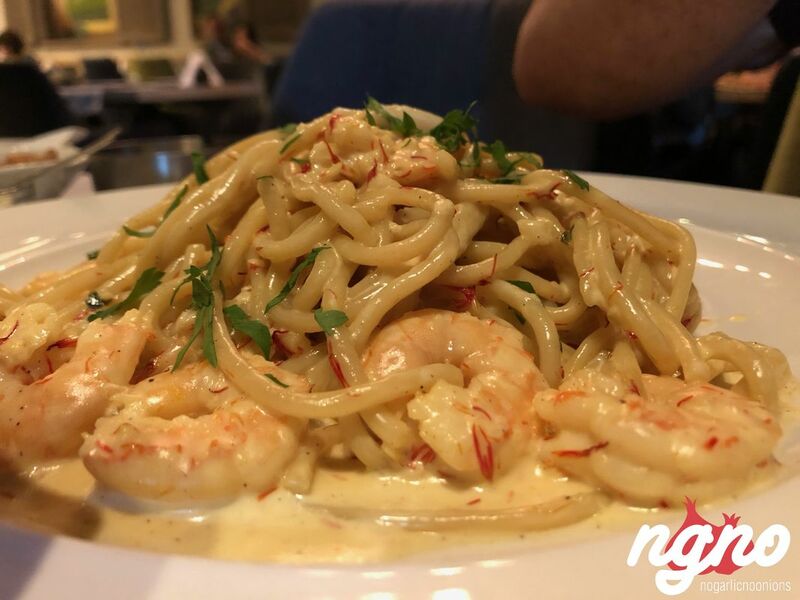 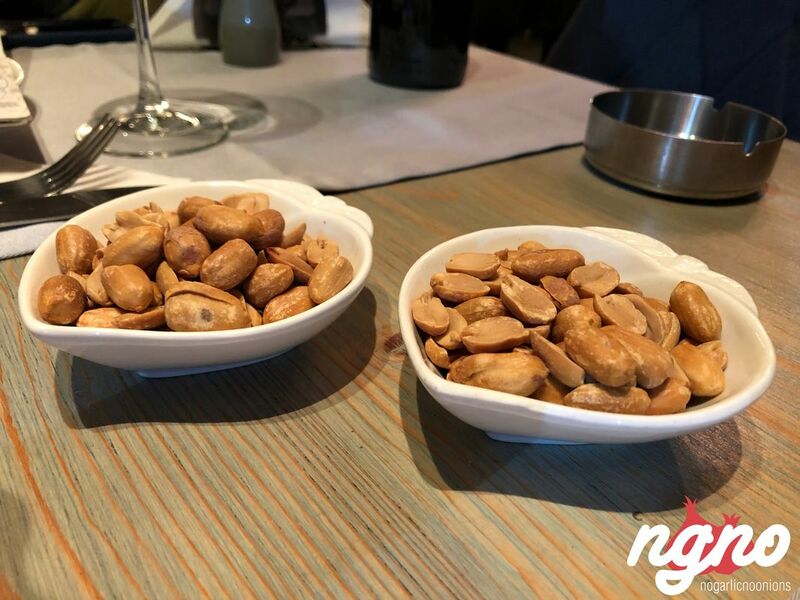 Known to have eight choices of pasta, at Il Vigneto you can enjoy everything Italian from pasta to pizzas and meat plates while enjoying soothing Italian tunes. 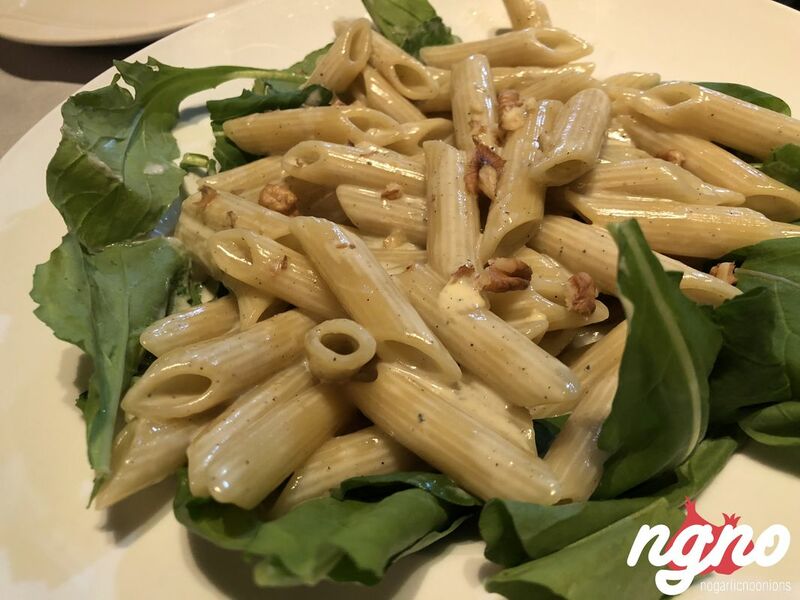 The restaurant feels like a traditional home in Italy. 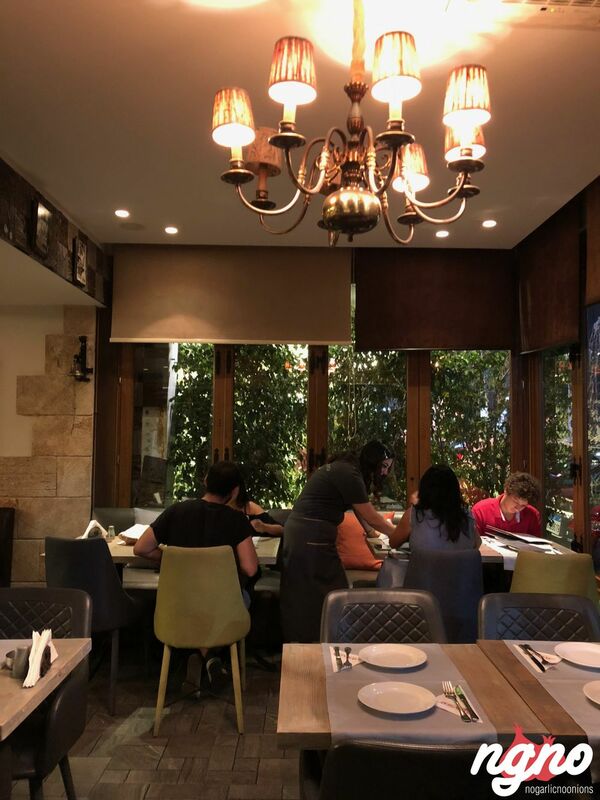 Loaded with colors, enjoy a view on the grape valleys of Tuscany while dining under the chandelier, on wooden tables decorated with fabric runners. 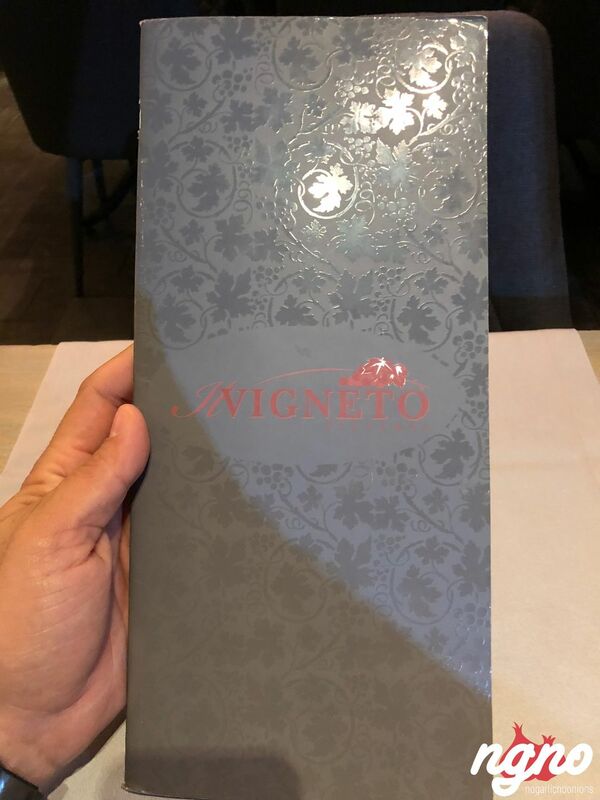 I felt good from the minute I walked in. 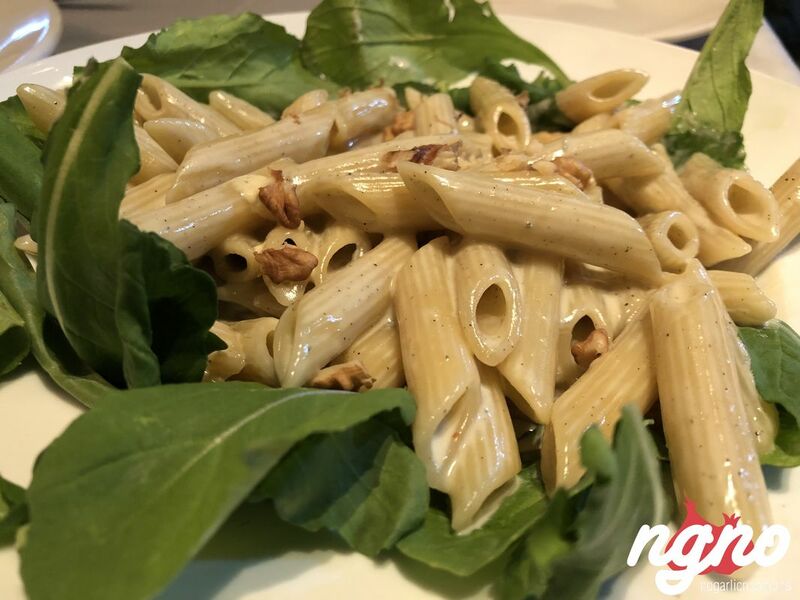 On the menu, start with the appetizers, choose a salad, choices of pasta, pizza, risotto, and desserts. 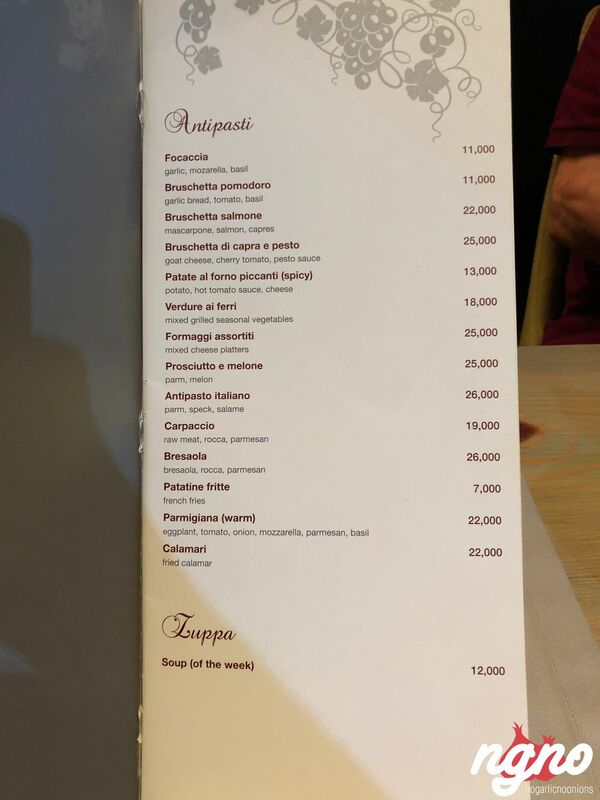 I made sure nothing contains garlic. 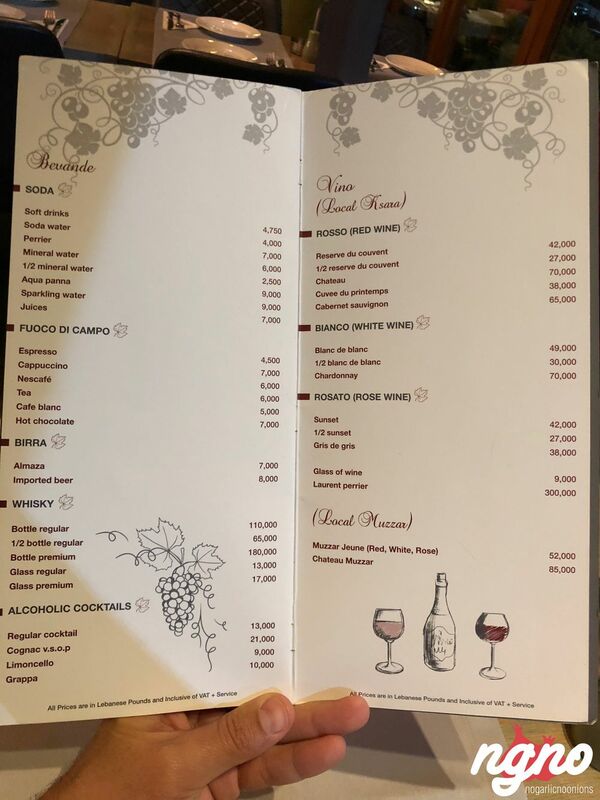 A subtle service, smiling waiters, and a manager who made sure to bring four bottles of wine, so we choose one of them, while taking the order by heart. 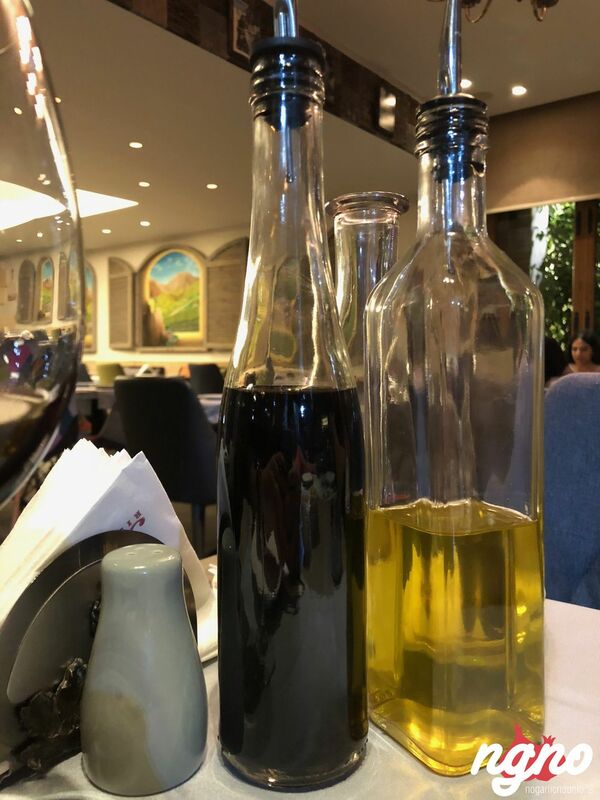 Olive oil and balsamic vinegar, I was ready to indulge in a rich Italian dinner. 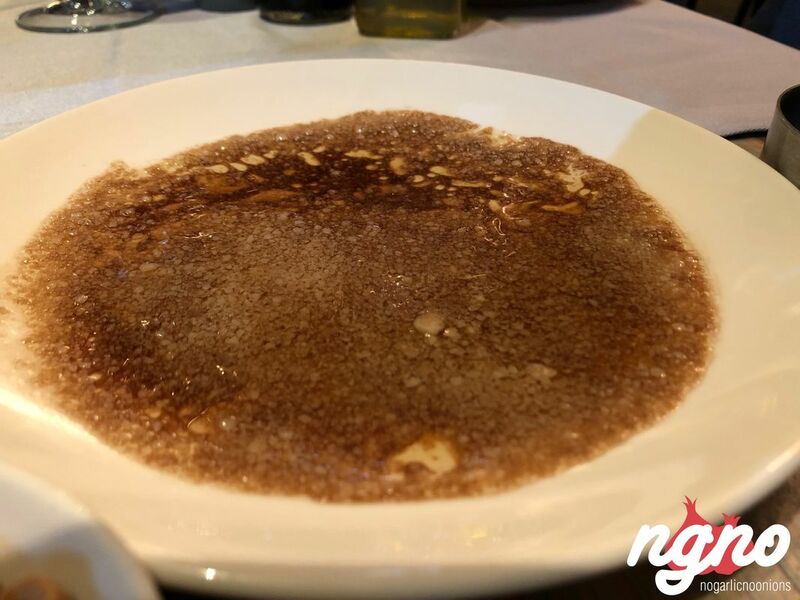 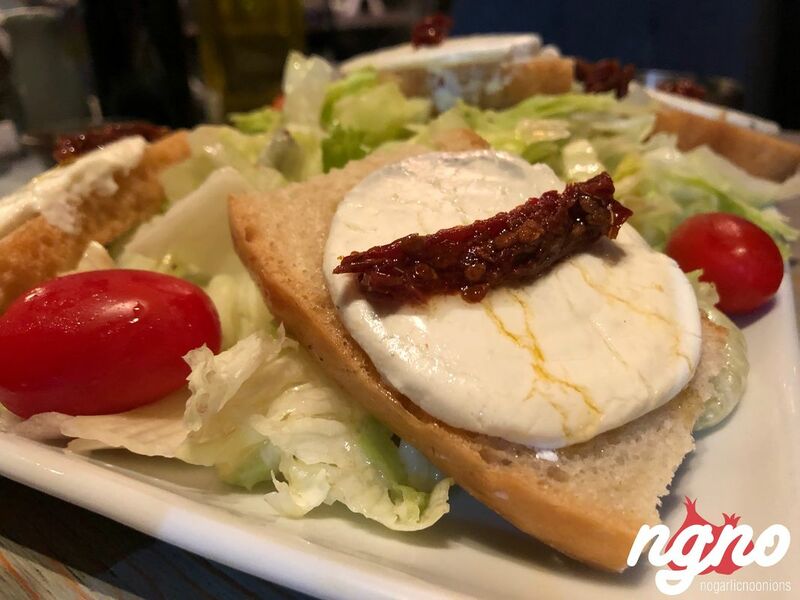 The experience starts with balsamic vinegar, olive oil and parmesan cheese served on a plate with a basket of hot bread. 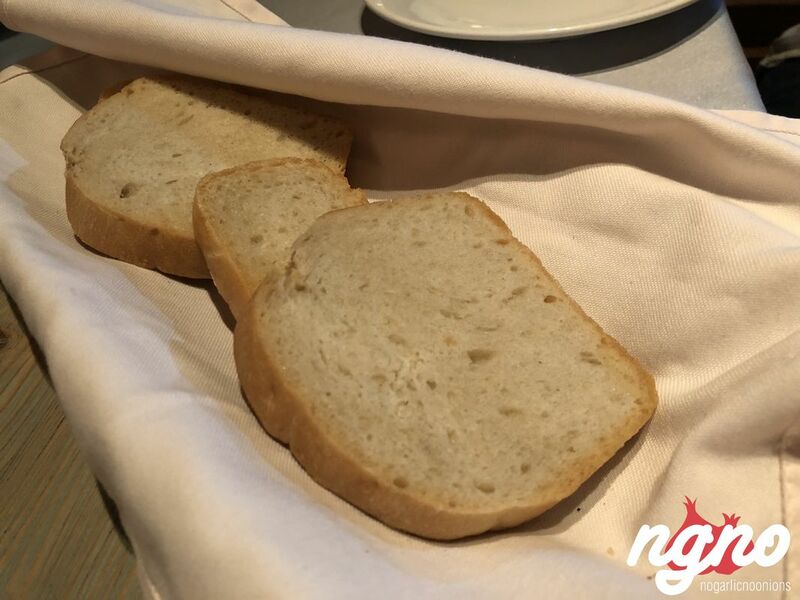 I liked the olive tapenade, the softness of the bread and the idea of having parmesan mixed with balsamic vinegar. 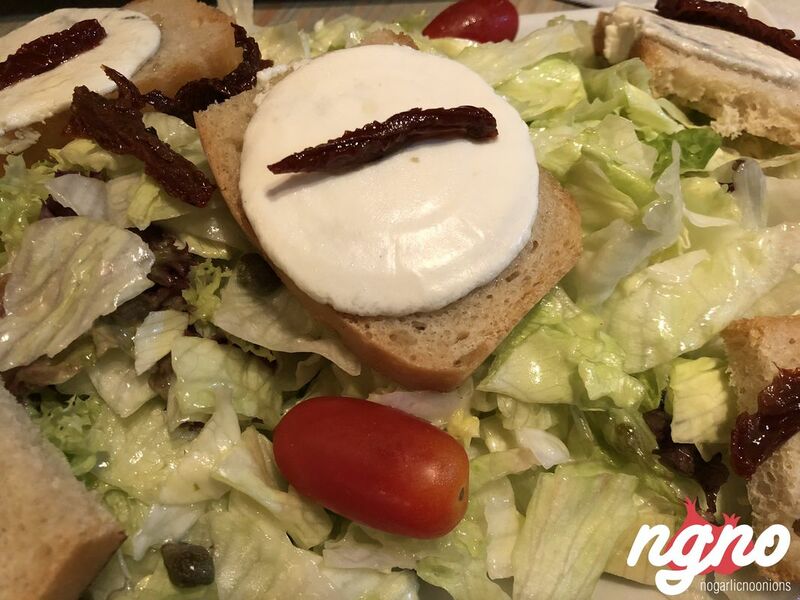 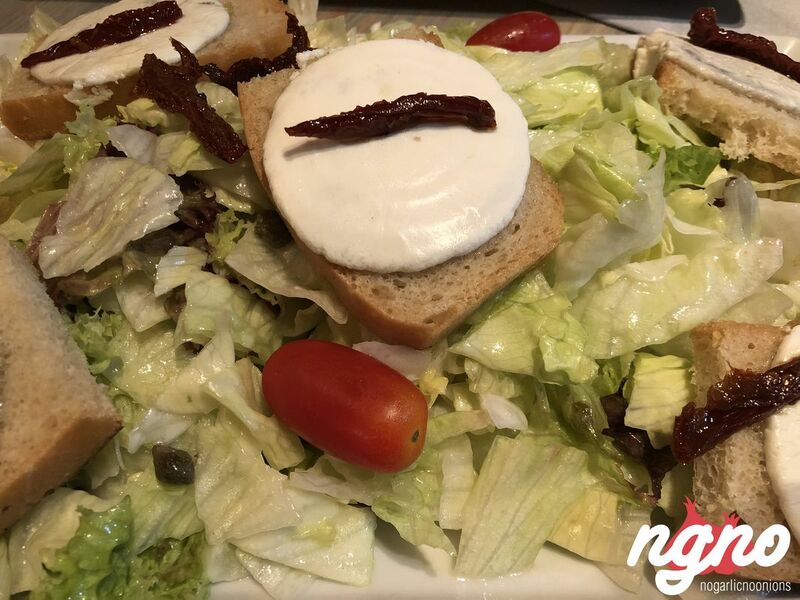 An immense salad of fresh lettuce, goat cheese on toast, and cherry tomatoes. 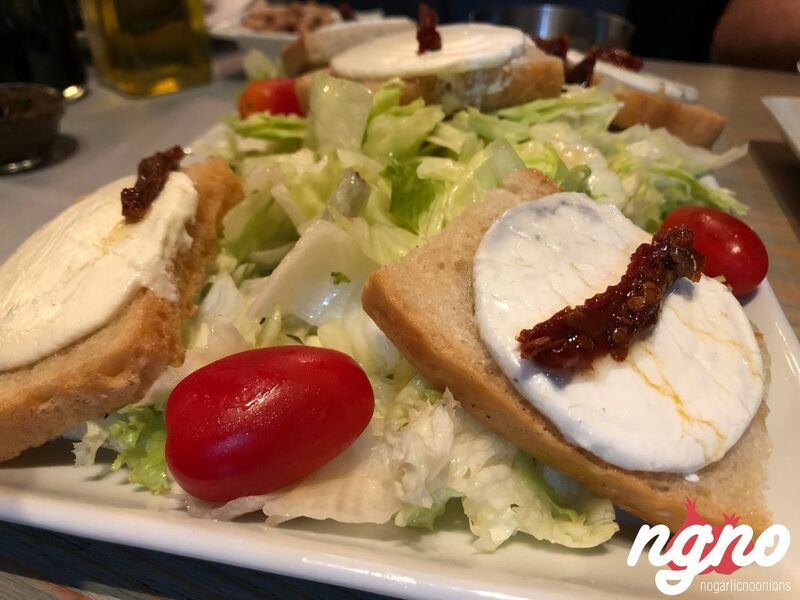 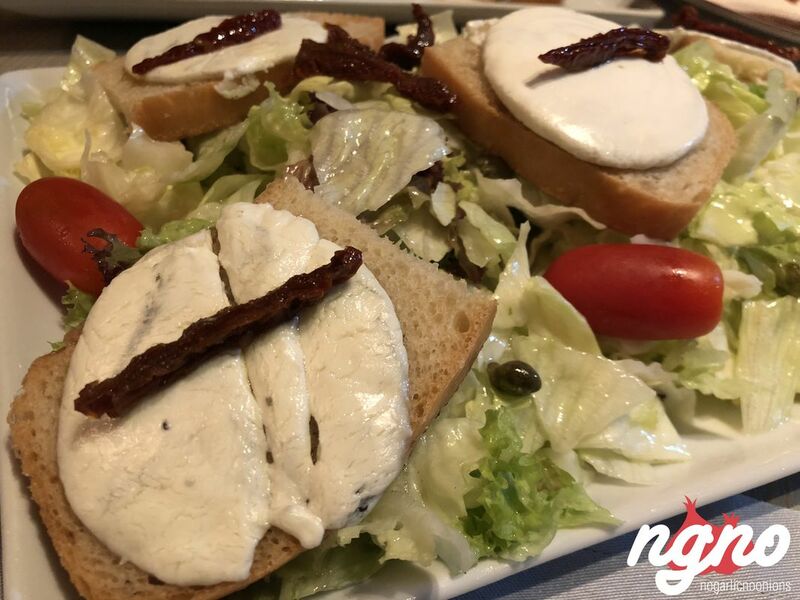 A bulky salad which I would have made smaller toasted the bread way more with a light spread of butter and used a thicker more flavorful goat cheese. 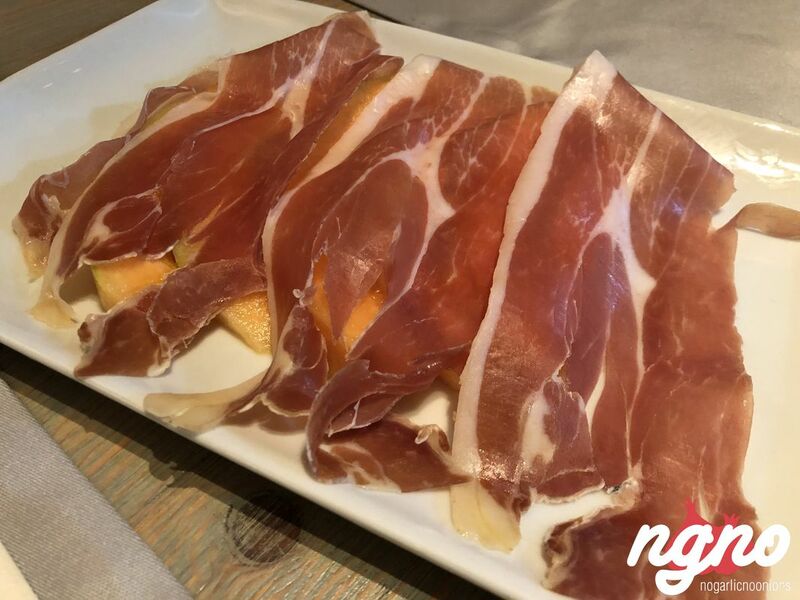 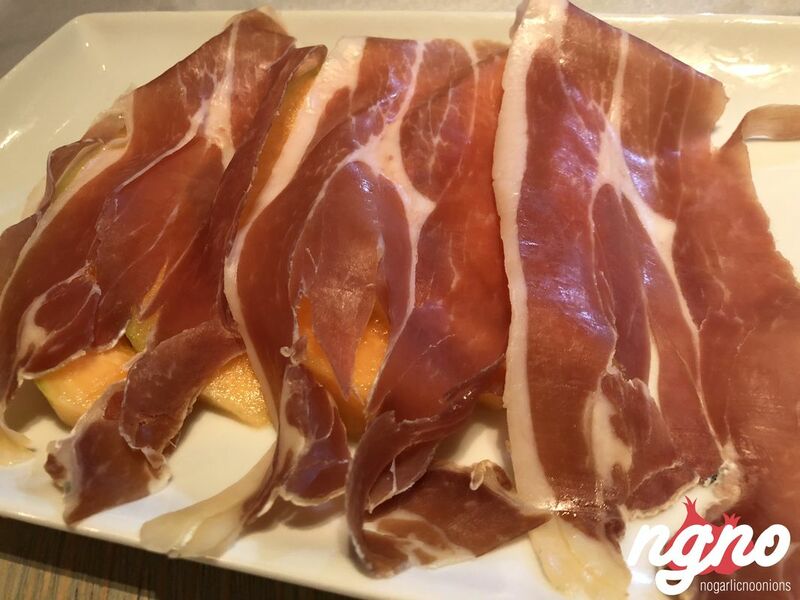 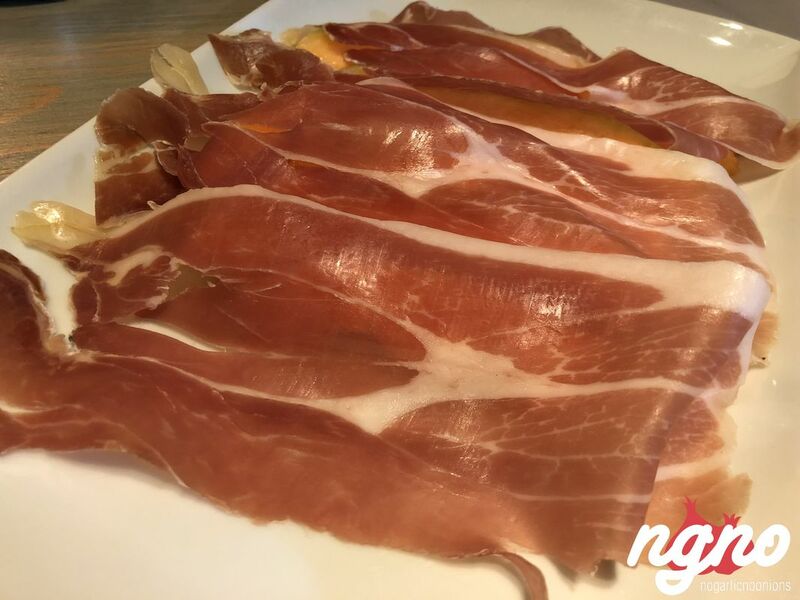 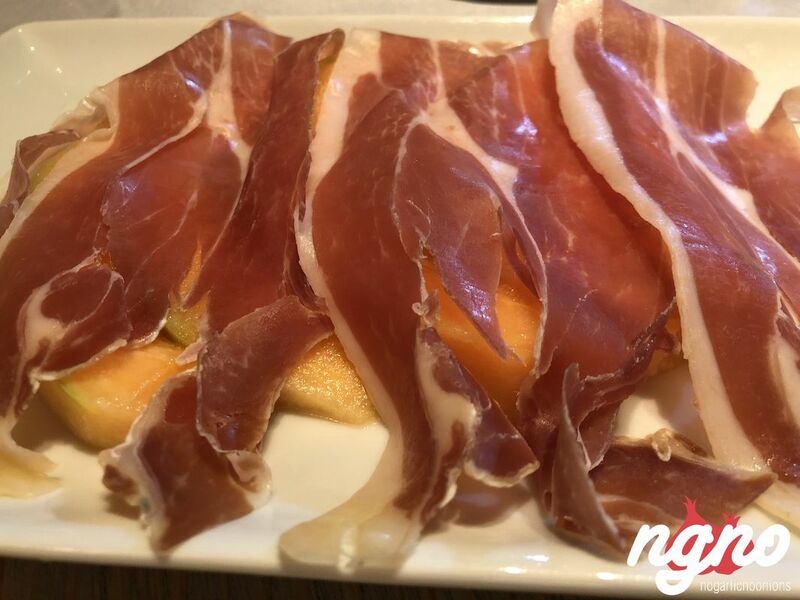 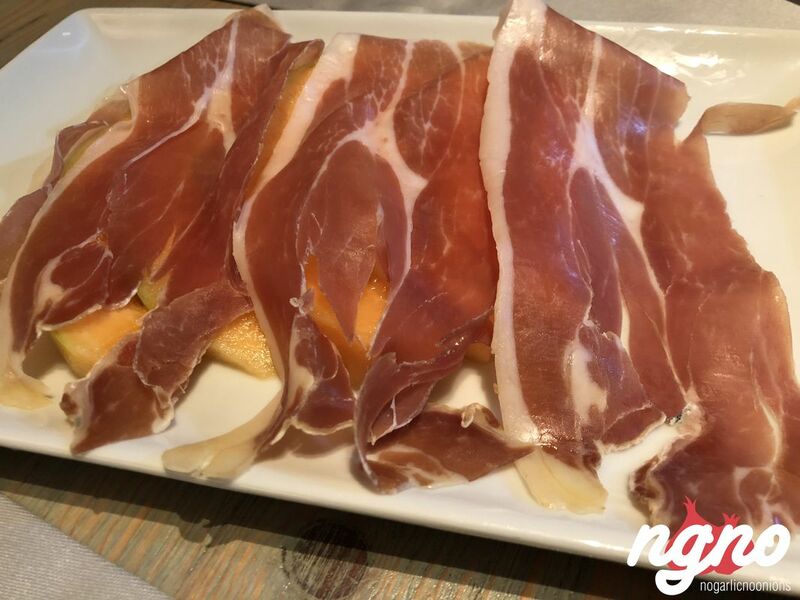 Melon and Prosciutto: ripe melon and thinly sliced ham. 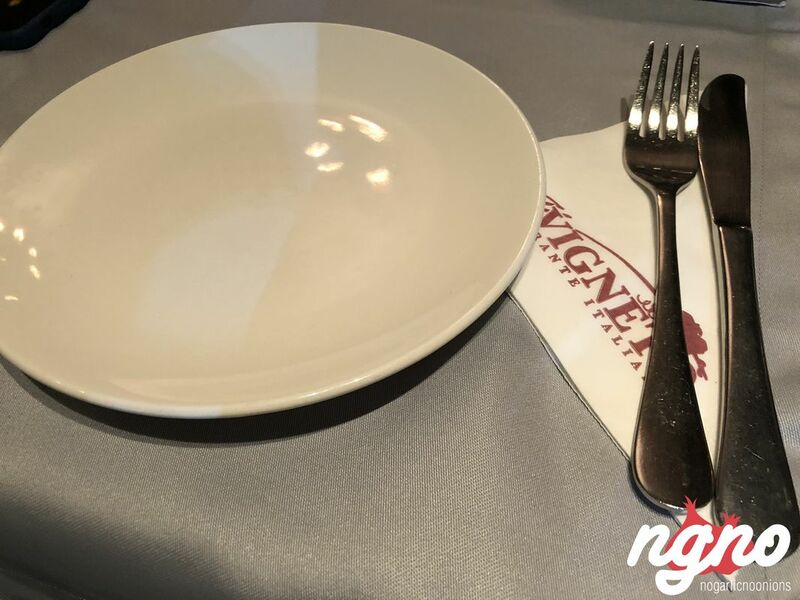 A traditional plate with no complication. 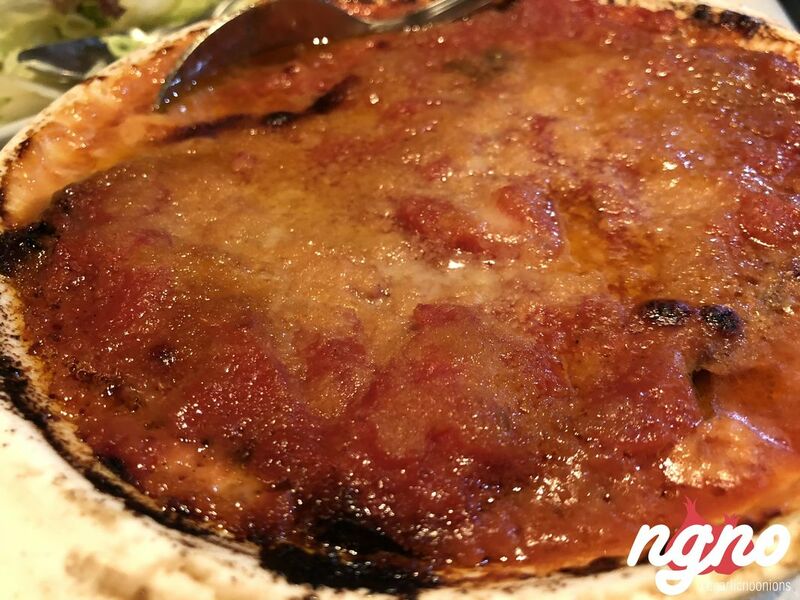 The huge parmigiana is really good! 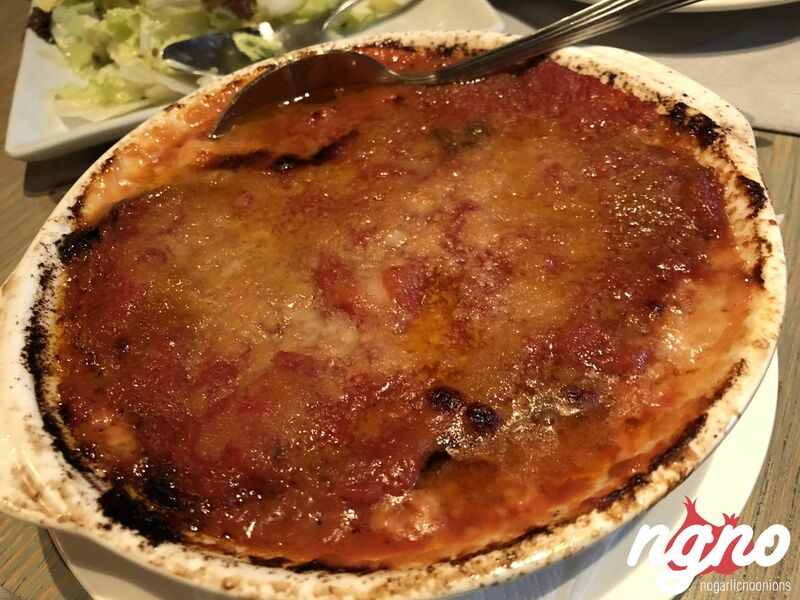 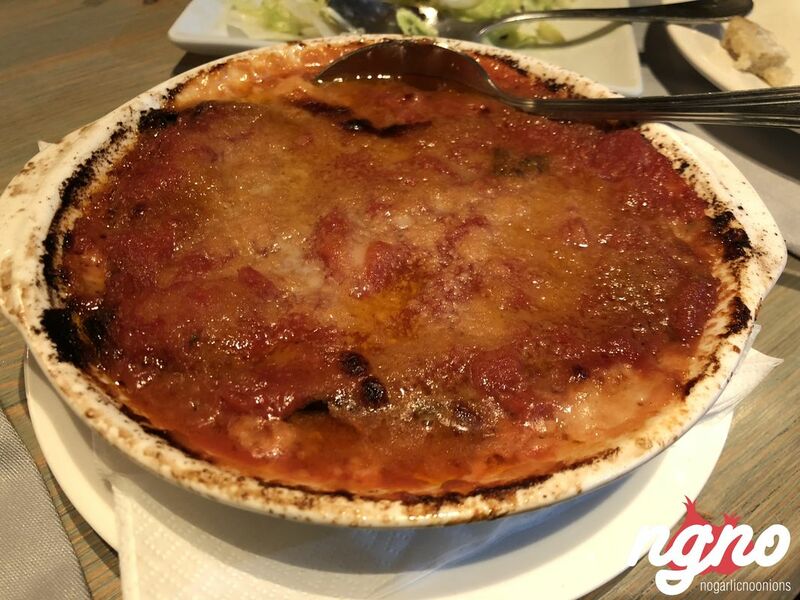 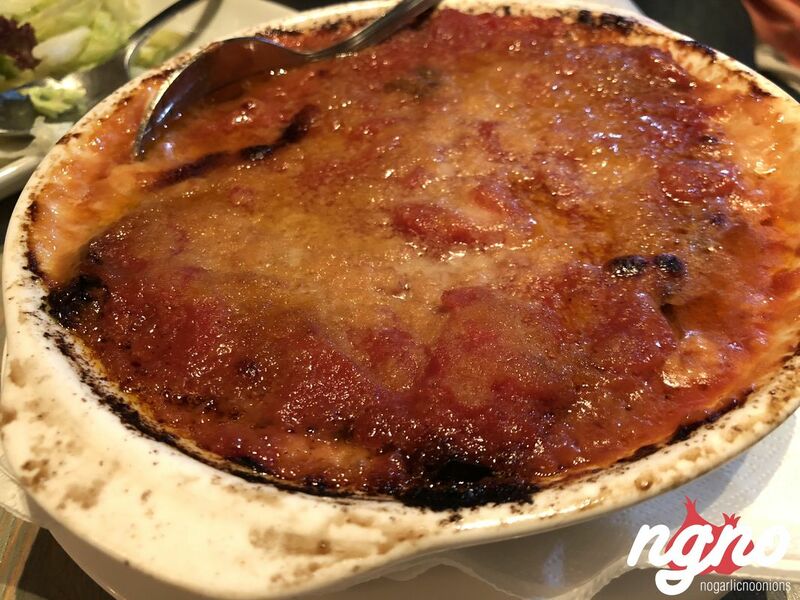 With rich aromas and a red robe, the plate is baked as is with all its rich content. 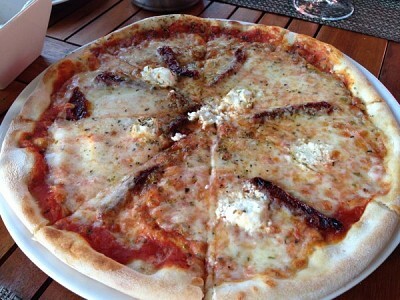 Eggplant, tomatoes and a load of cheese. 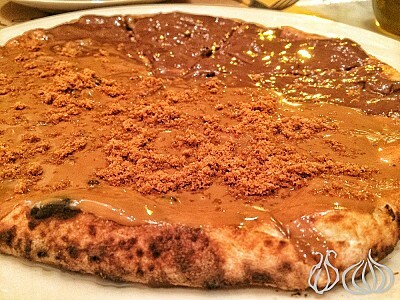 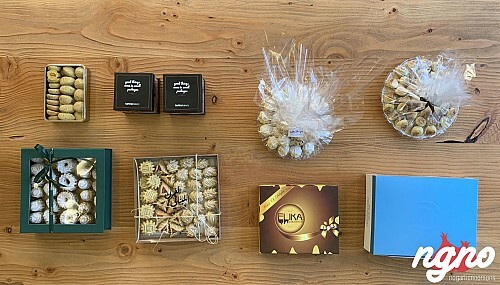 I loved it how the ingredients are married together creating an experience for your taste buds. 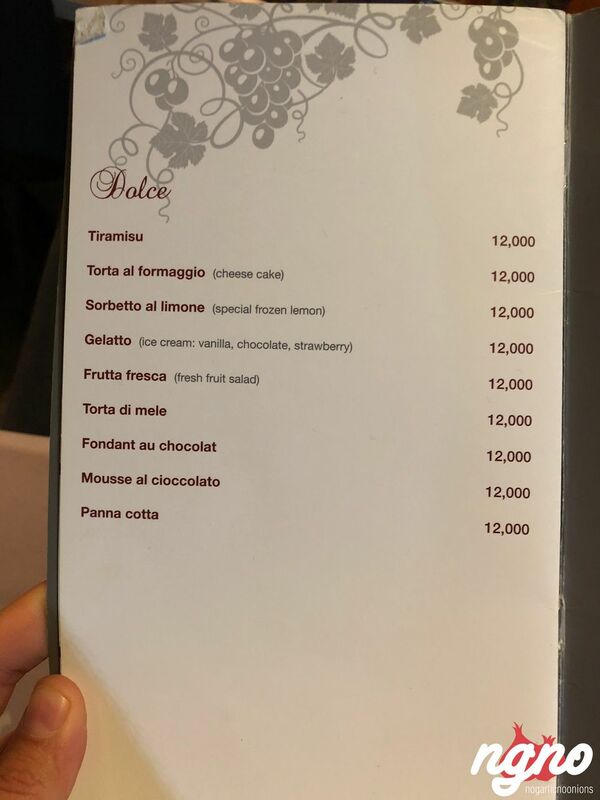 I’ll recommend this plate to my friends. 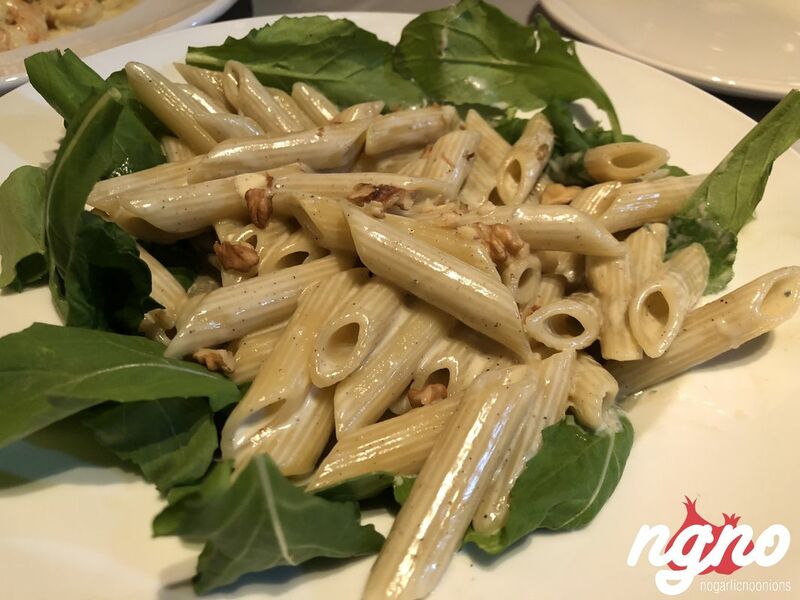 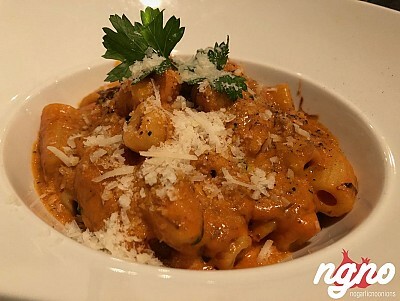 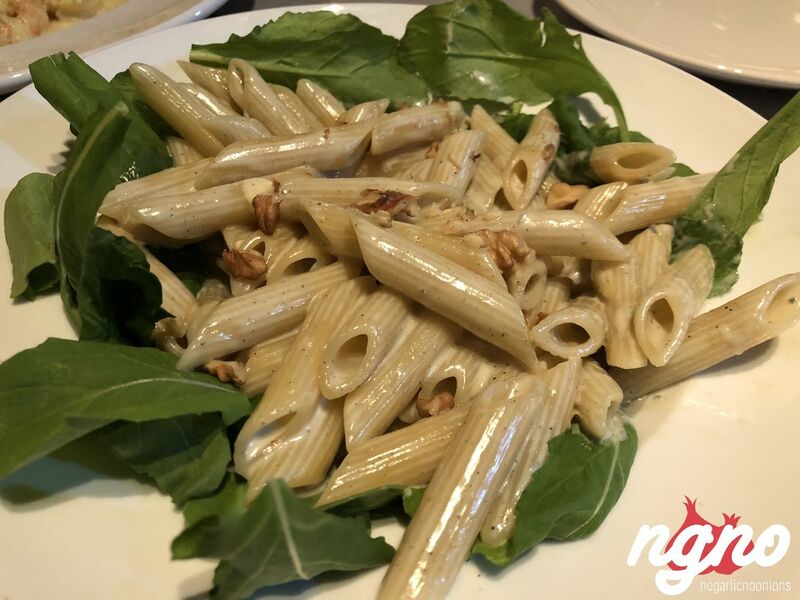 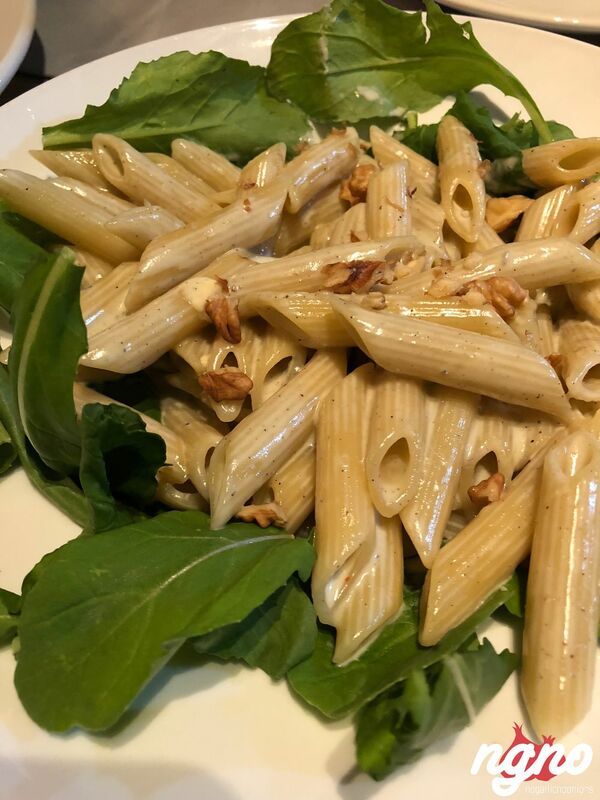 Penne or spaghetti, the pasta is cooked al dente but lacks a handful of flavors. 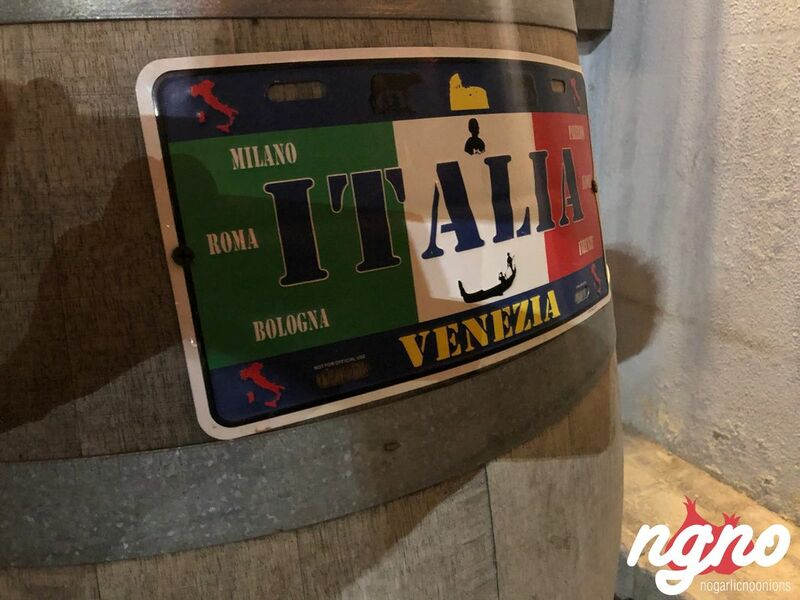 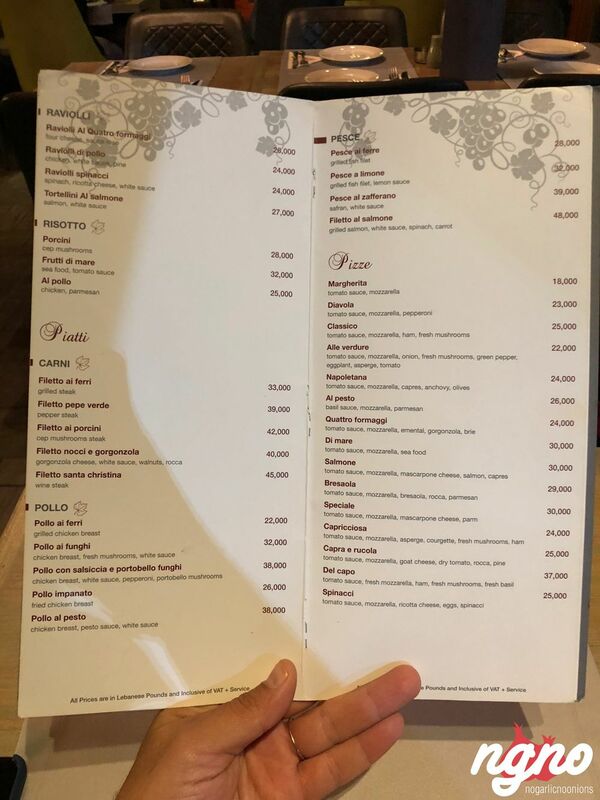 Looking good, the plates look like “Italian for non-Italians.” A bit of salt, a bit of life, a bit of passion, the food needs more Italian know-how. 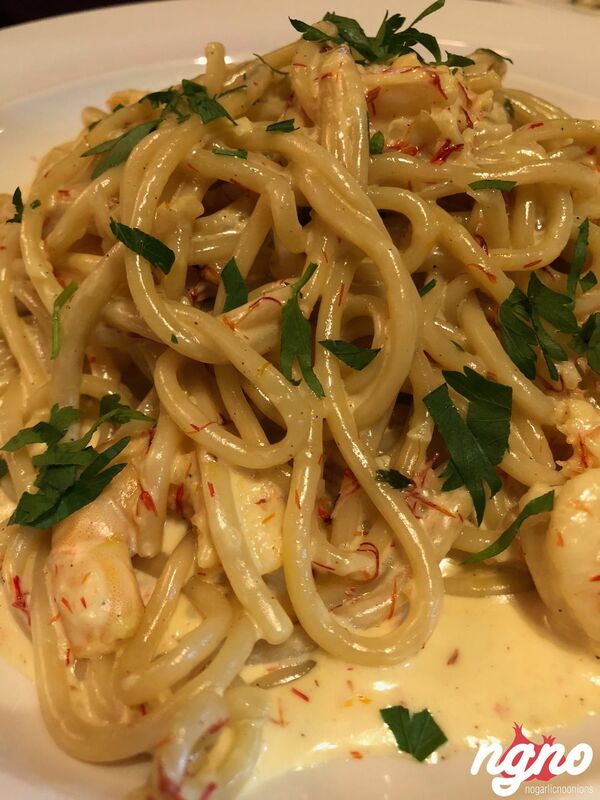 Spaghetti quality is too thick, needs more salt and more saffron. 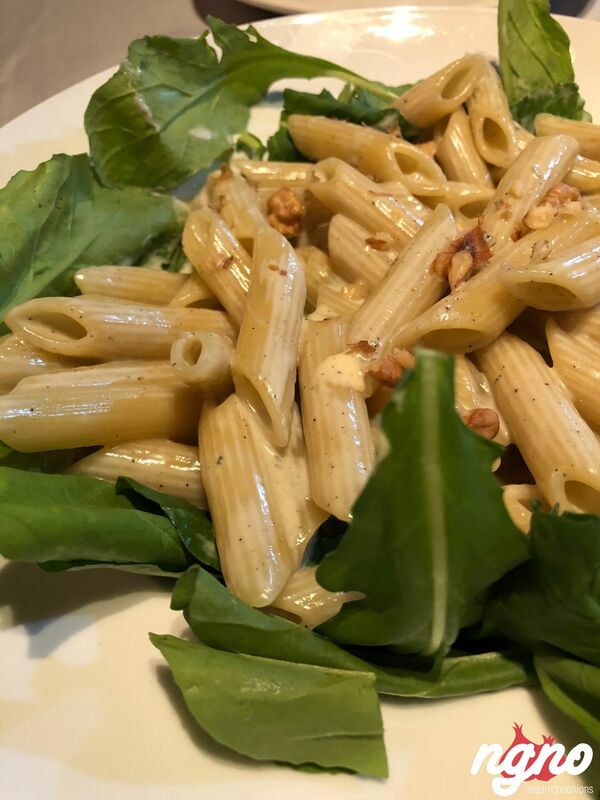 The penne is too creamy. 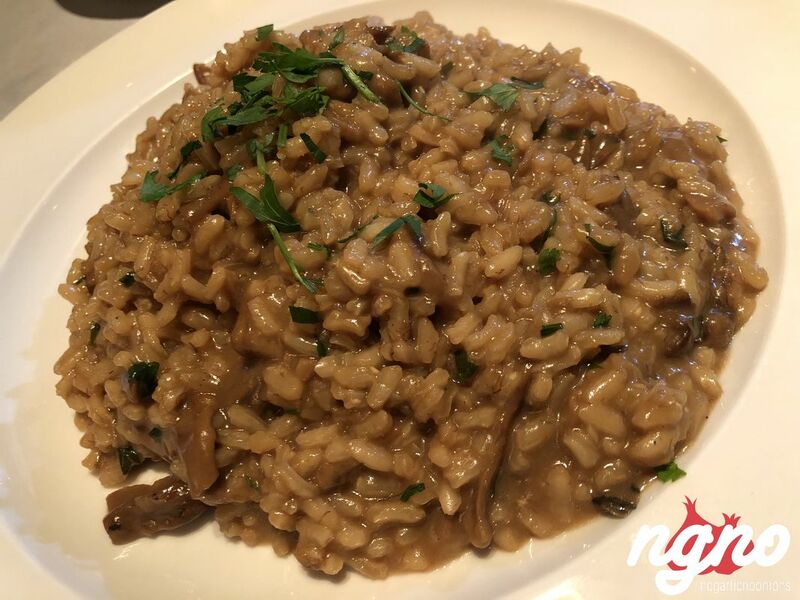 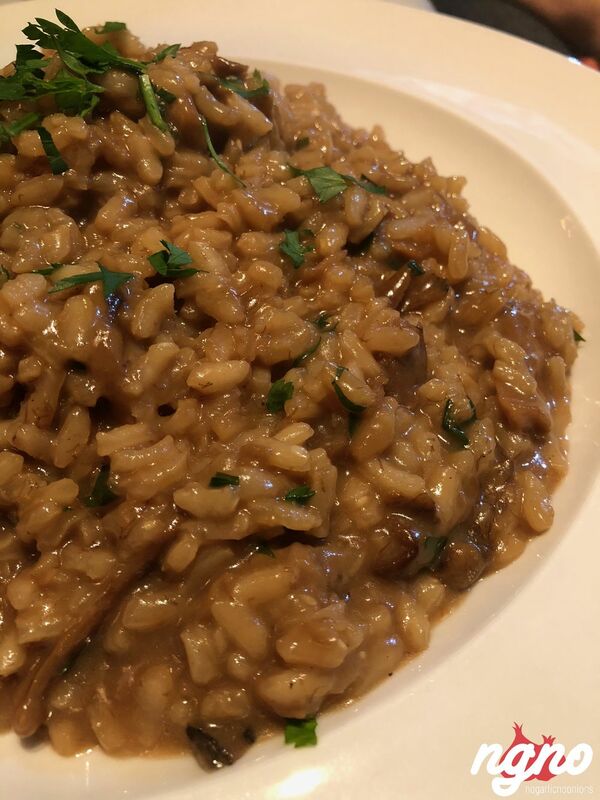 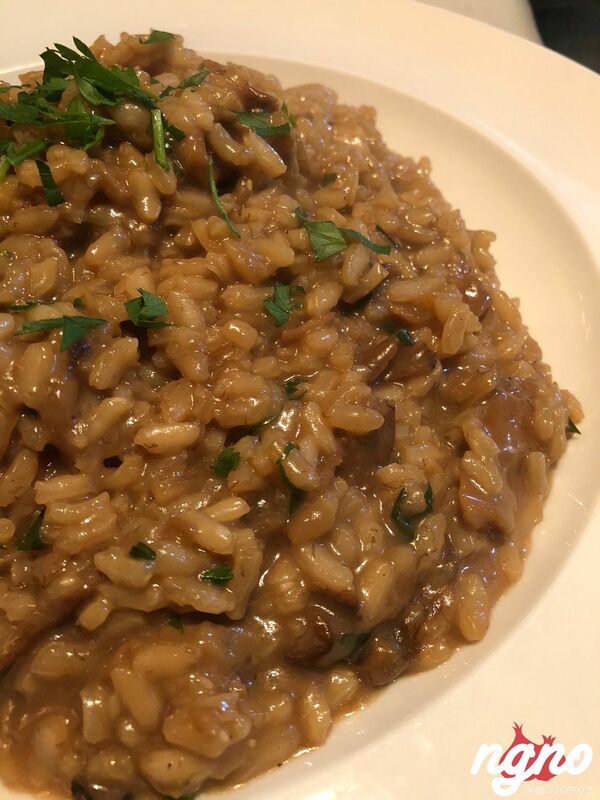 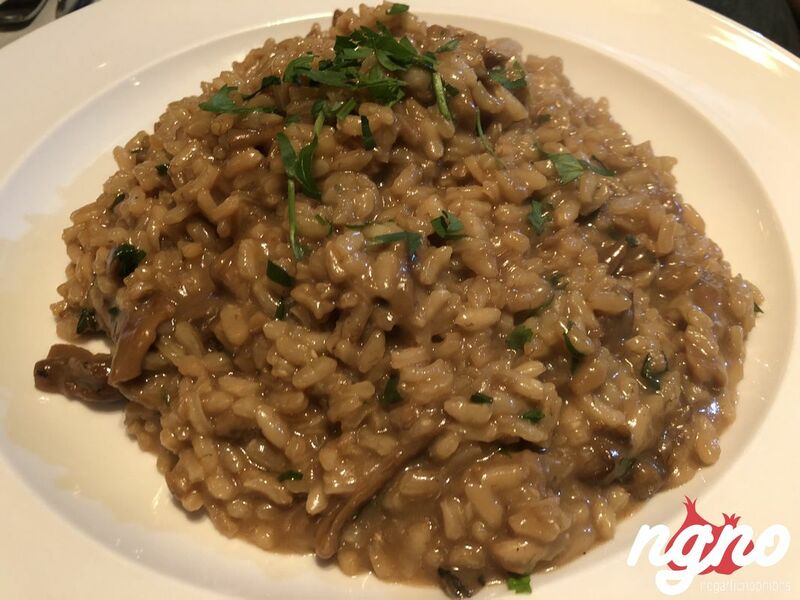 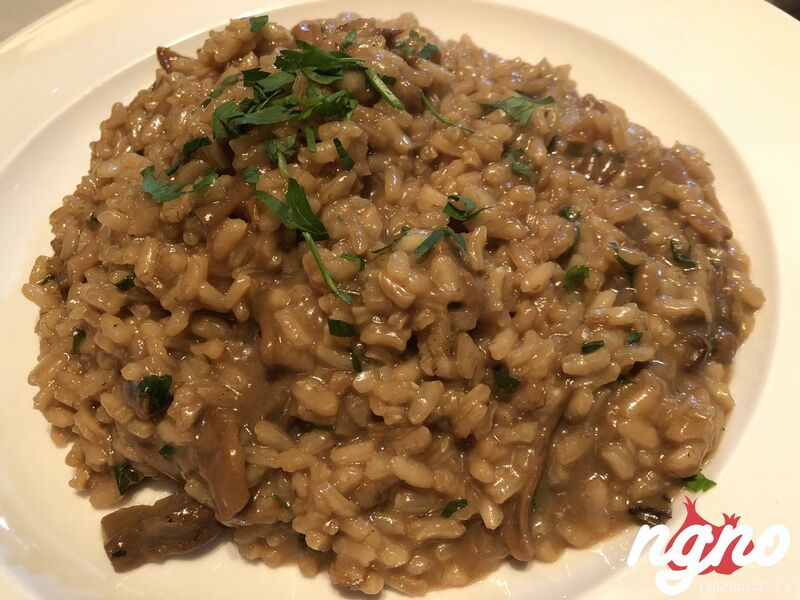 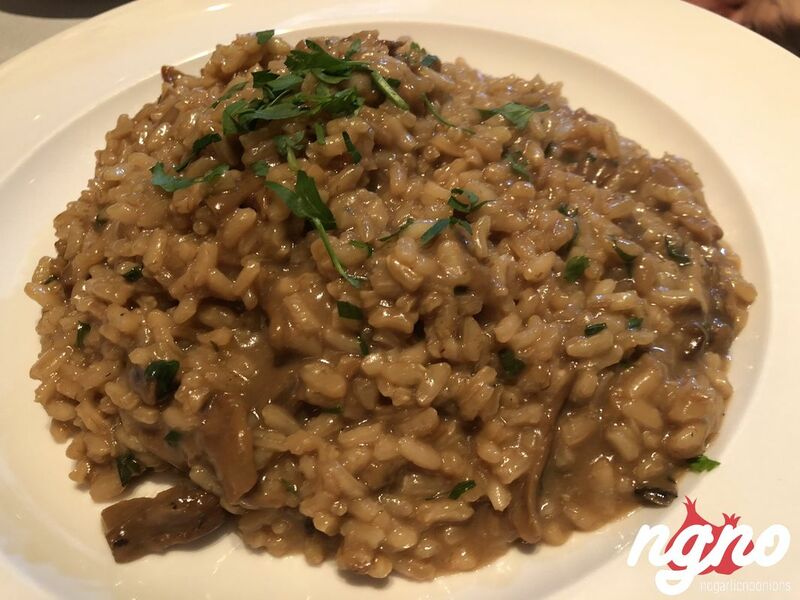 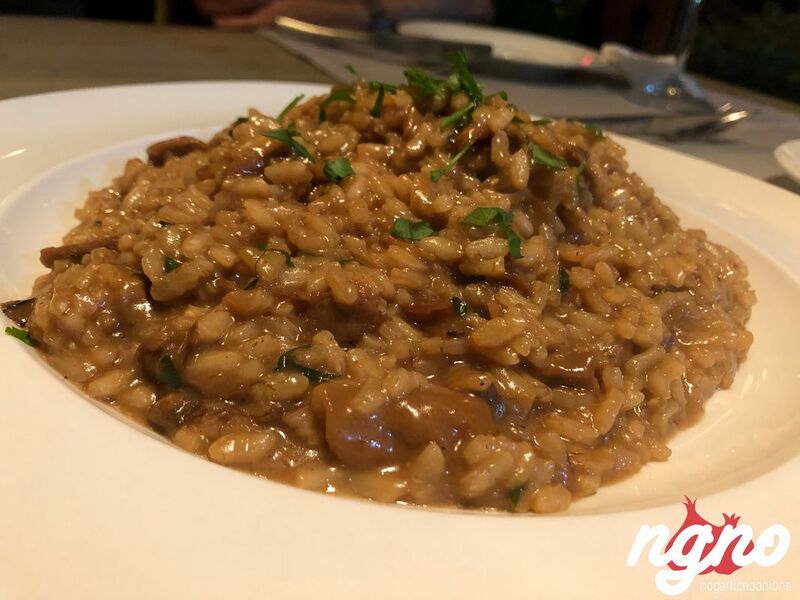 Mushroom risotto: a loaded portion like all other plates, a rice cooked al dente with a creamy sauce and tender mushrooms, the porcini risotto is a tasty plate I enjoyed. 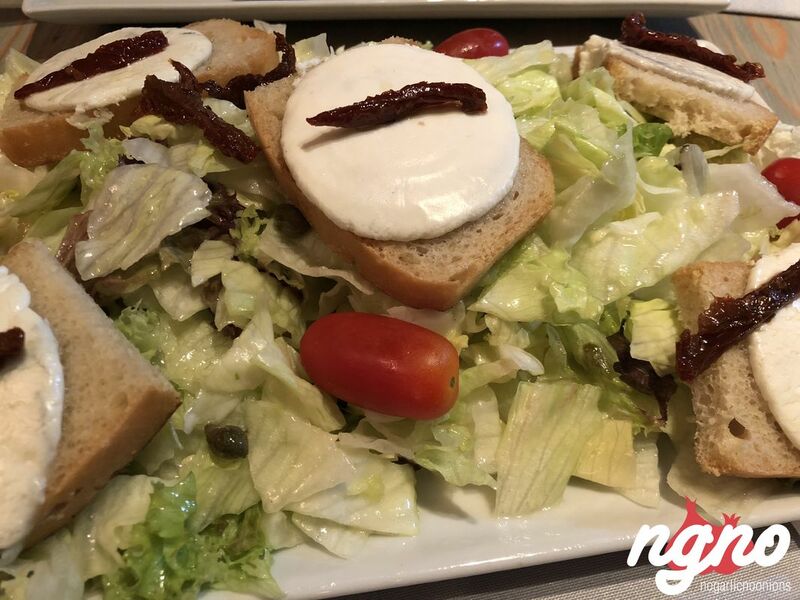 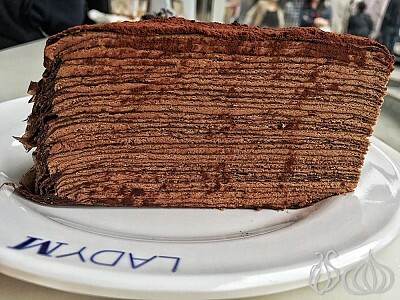 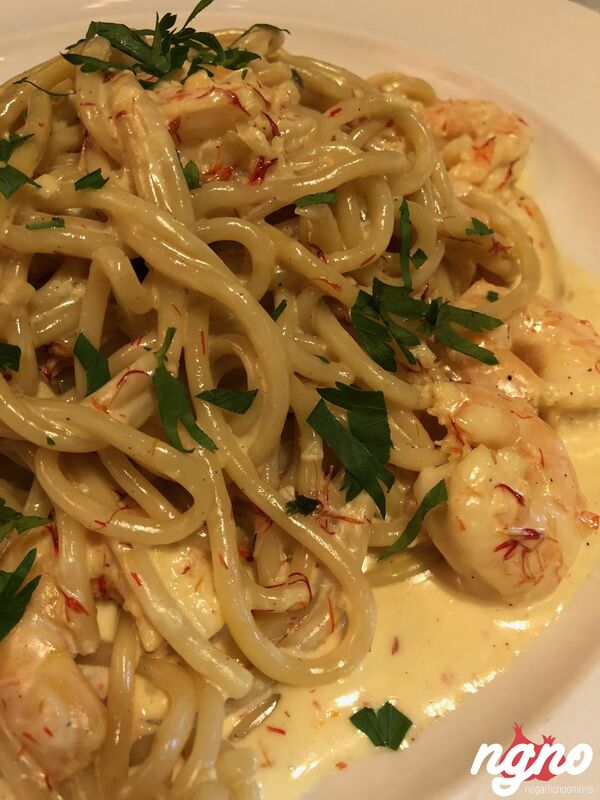 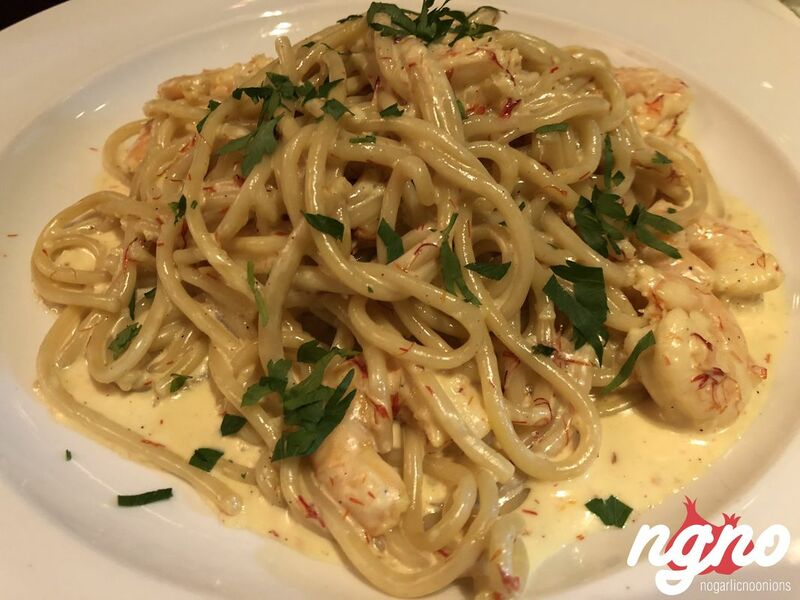 A portion for two persons or more, I believe orders at Il Vigneto are more for sharing. 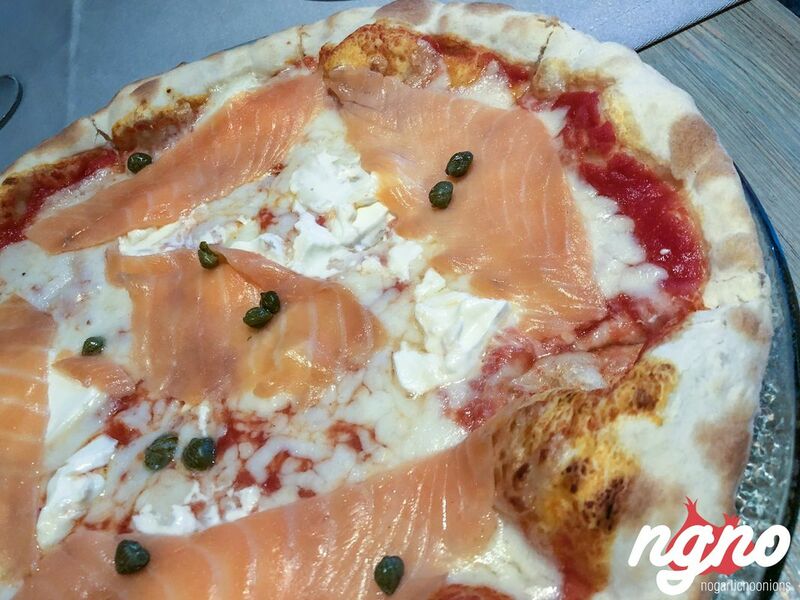 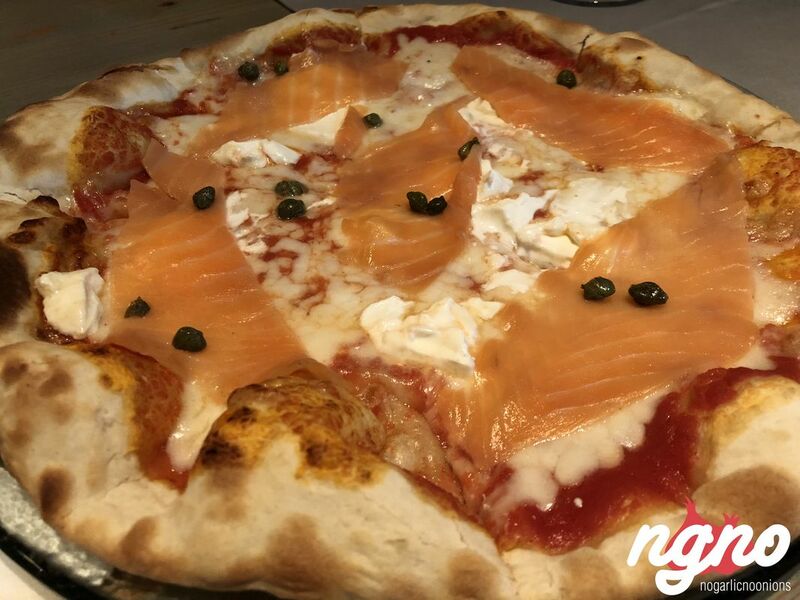 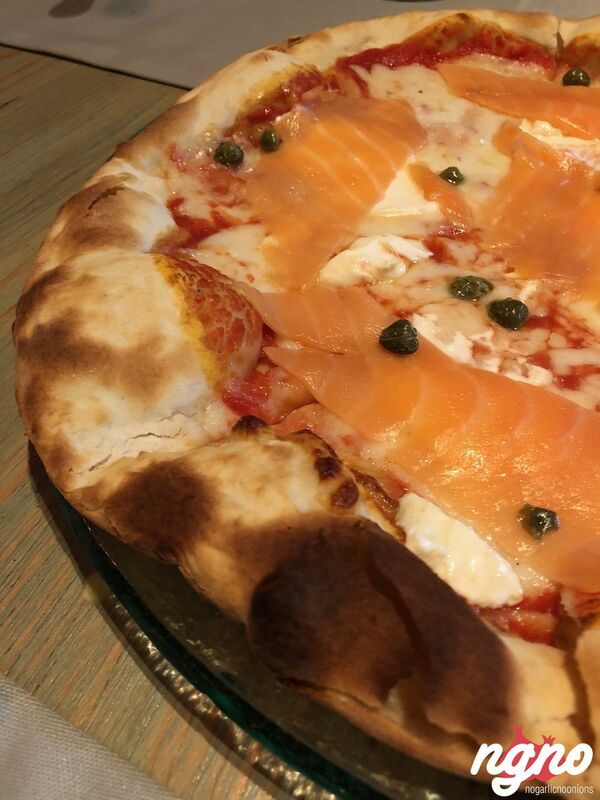 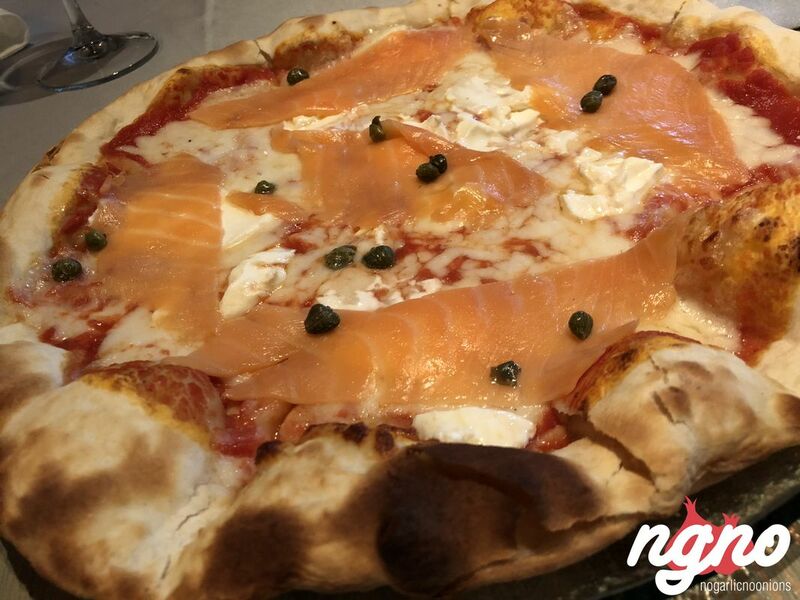 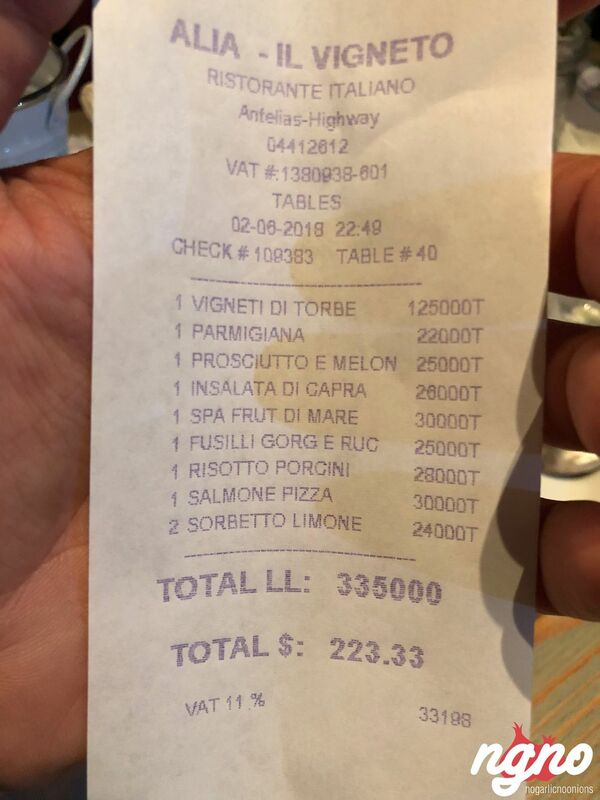 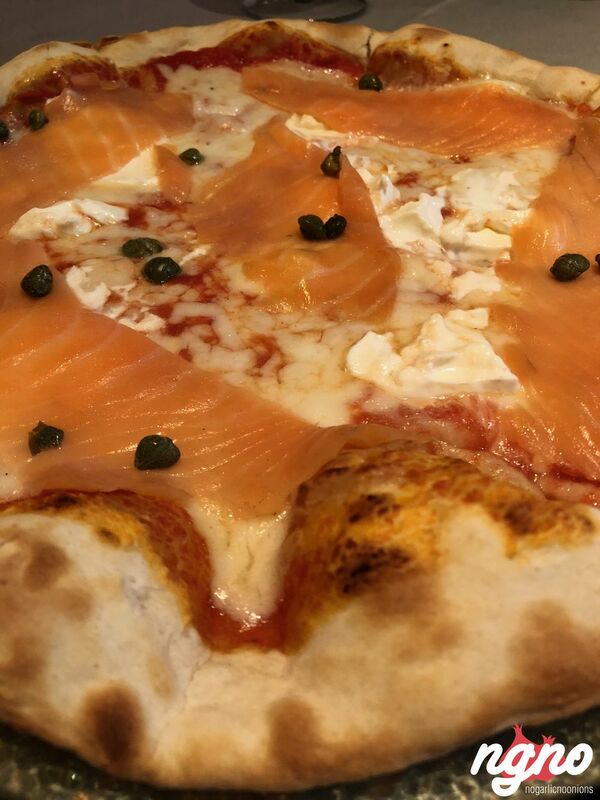 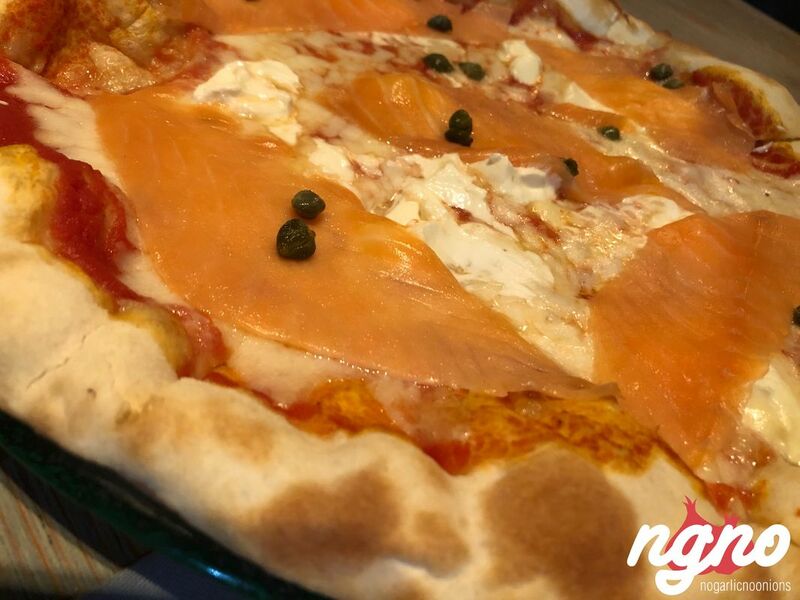 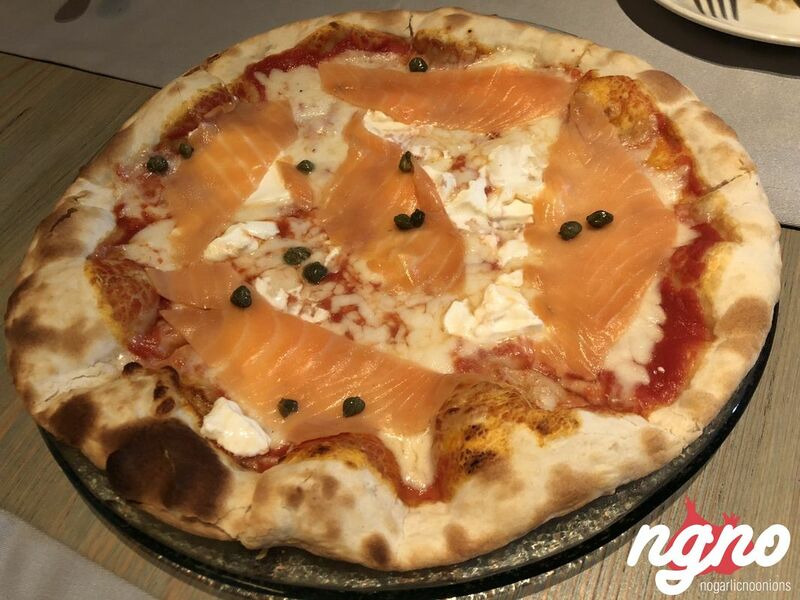 The pizza: a crispy crust more like a Manouche covered with red sauce, yellow cheese, molten burrata and orange colored salmon slices. 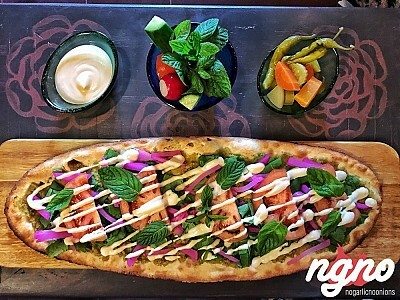 A flatbread, not an Italian Pizza, a commercial yellow cheese, bread you feel like a biscuit. 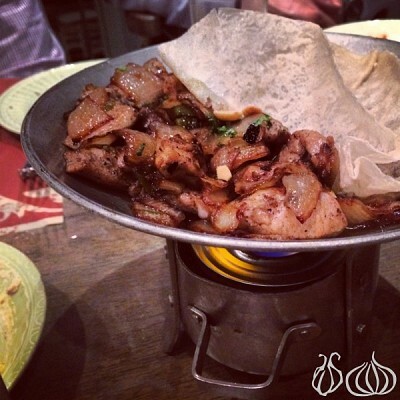 Since smoking is not allowed, having ashtrays spoils the table's decor. 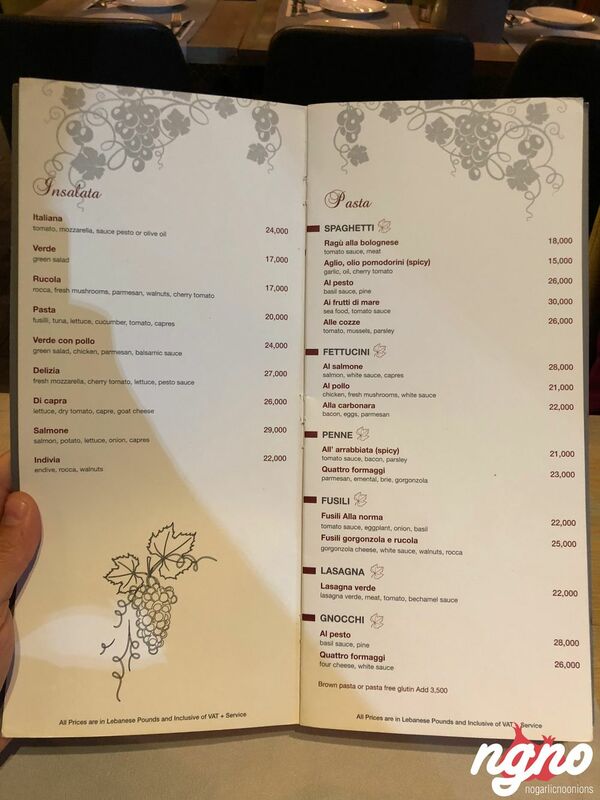 Having a detailed Italian wine list is a must. 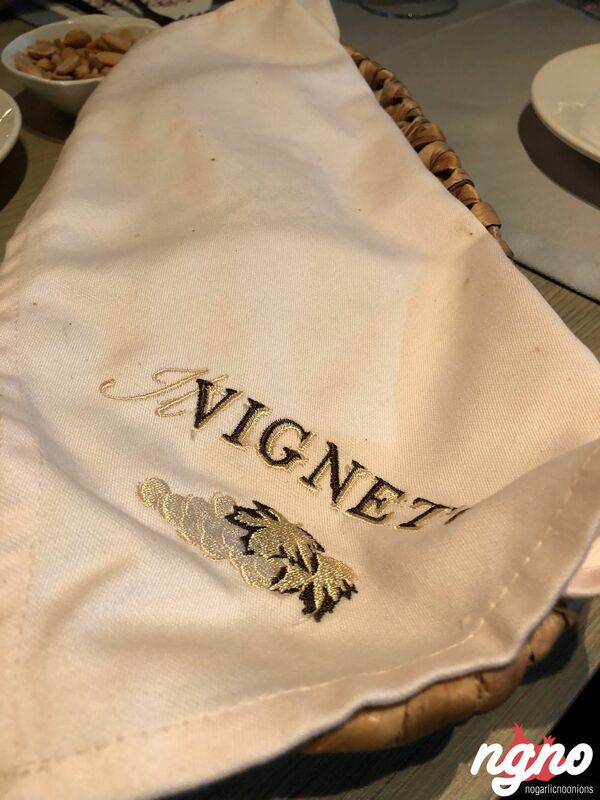 Table napkins would elevate the experience, especially in such a setup. 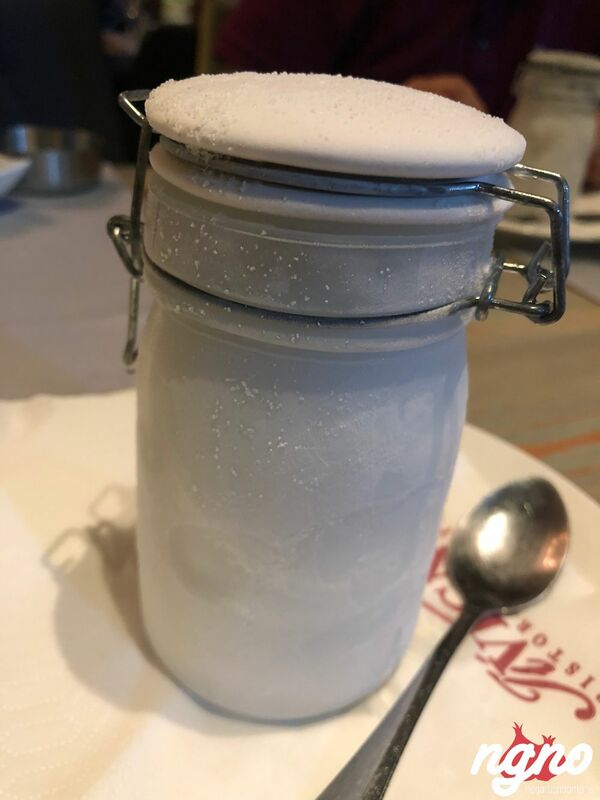 Do not serve plates with their spoons; 2018 is the Instagram era! 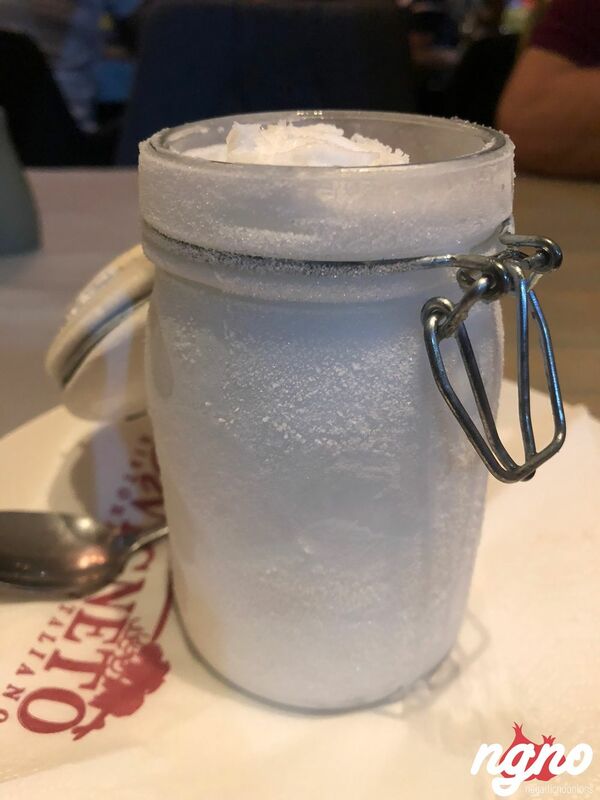 Forget about everything; keep some space for dessert because the lemon sorbet in a jar is not to be missed. 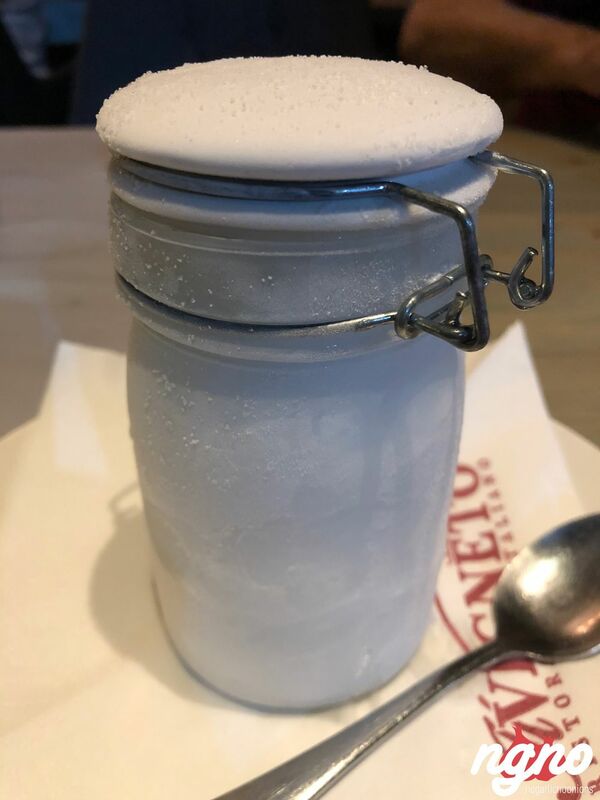 An excellent sorbet, not icy and not creamy but something in between. 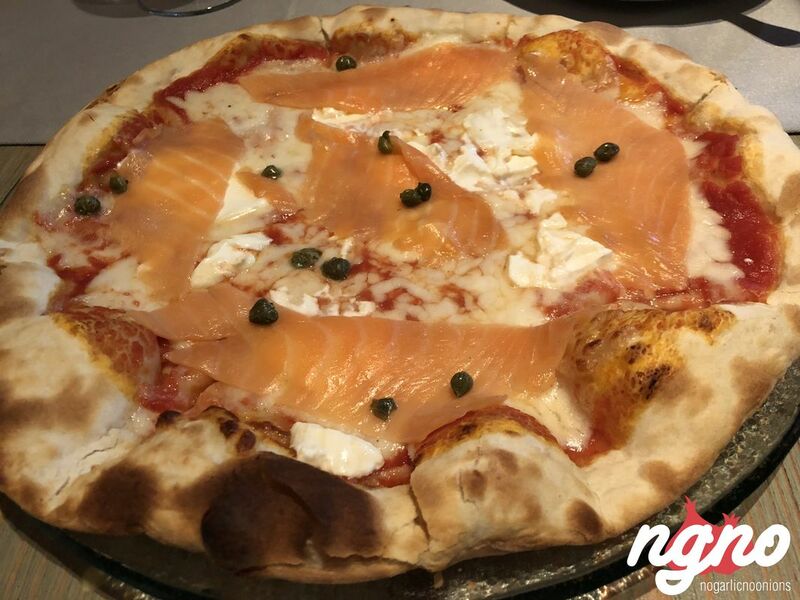 Add a shot at of limoncello to it and enjoy a sublime blend of enjoyment taking you on a journey to Italy and back. 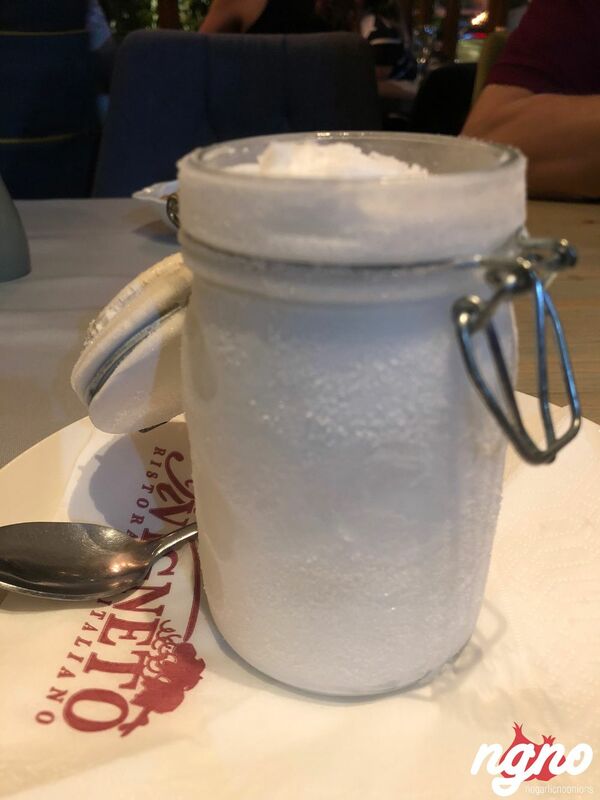 I loved the idea and what’s inside the jar; a lemon sorbet I’ll be remembering for long. 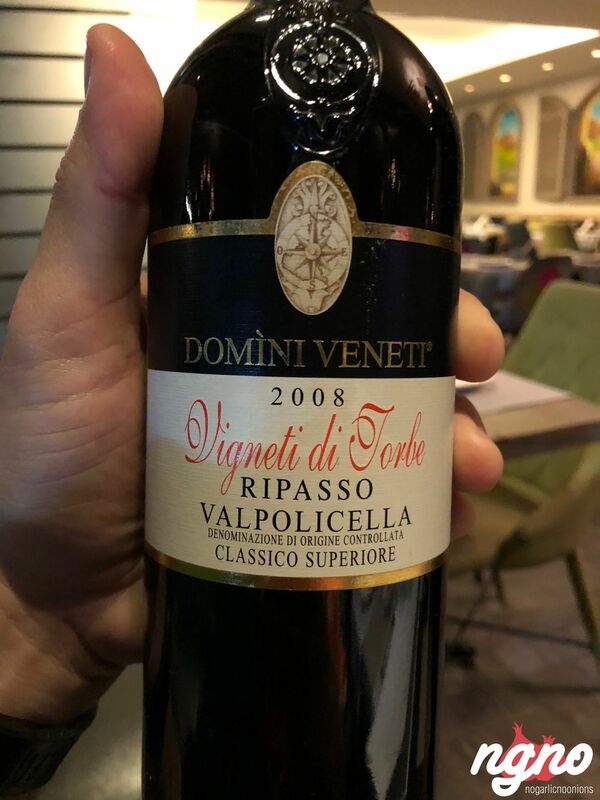 I loved its smoothness, the after-notes of bitterness, the strength of lemon and the limoncello you have to add to it. 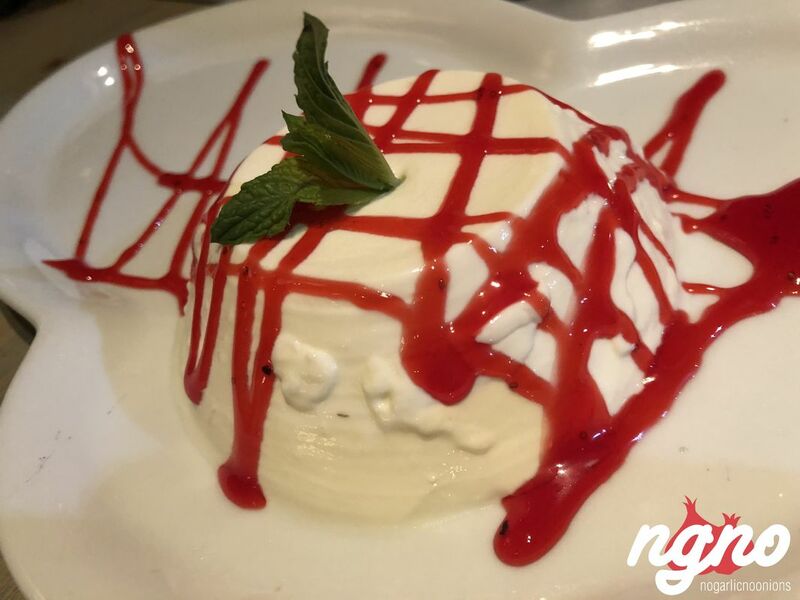 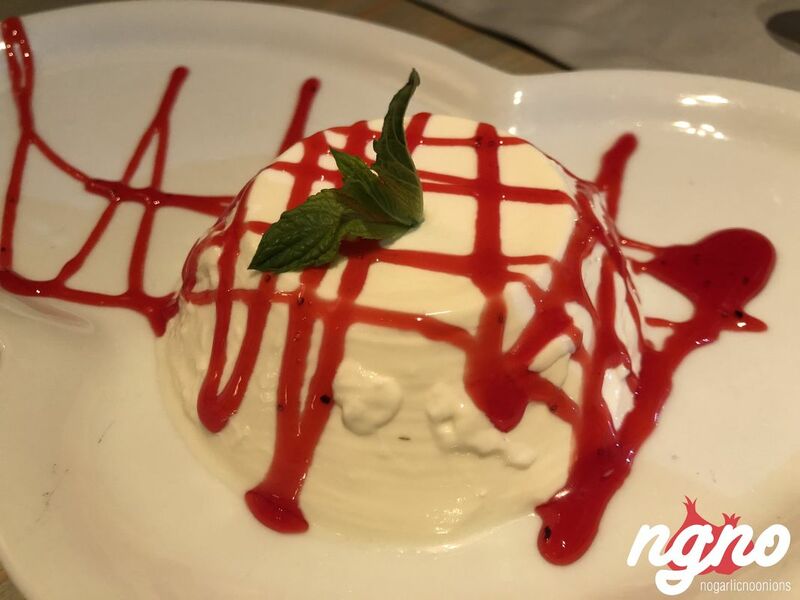 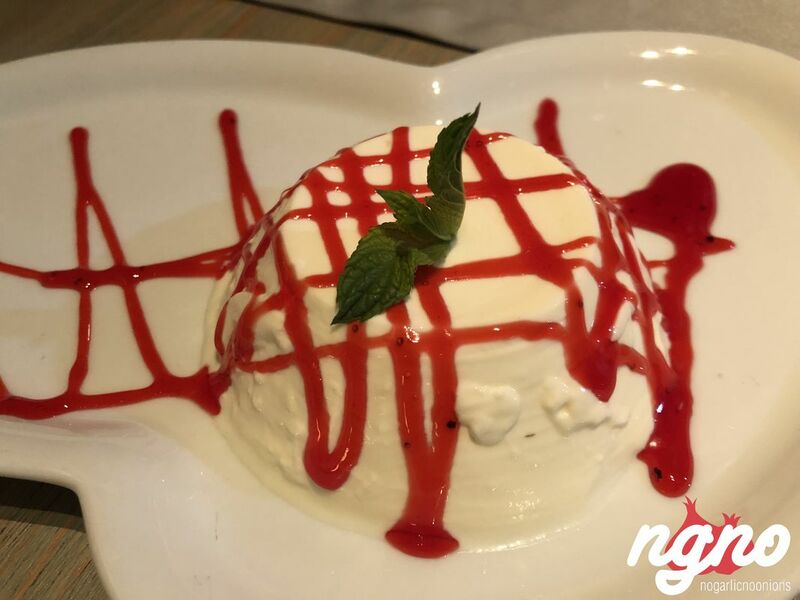 The panna cotta dessert is as good, balanced and mouthwatering. 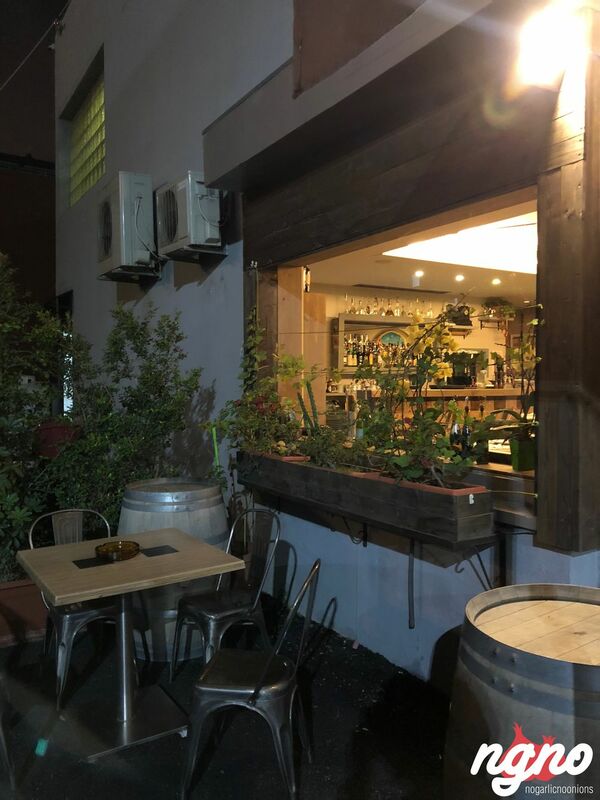 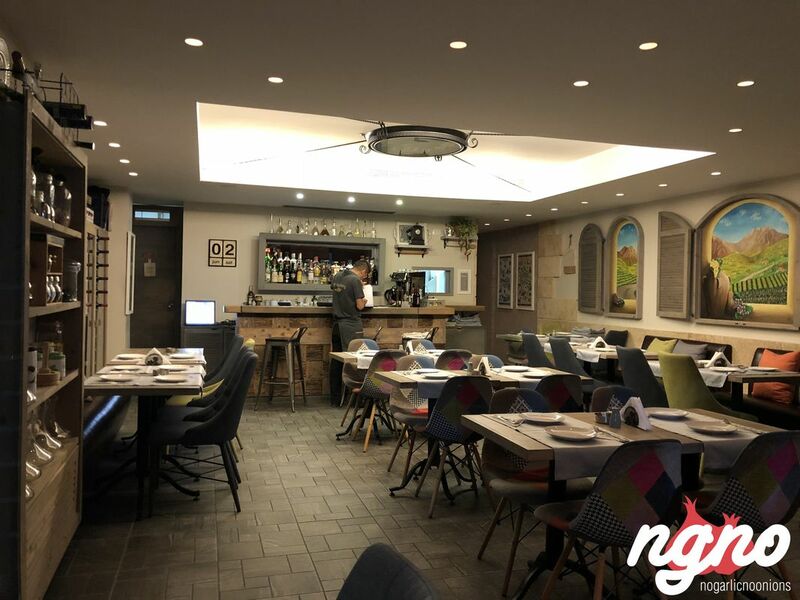 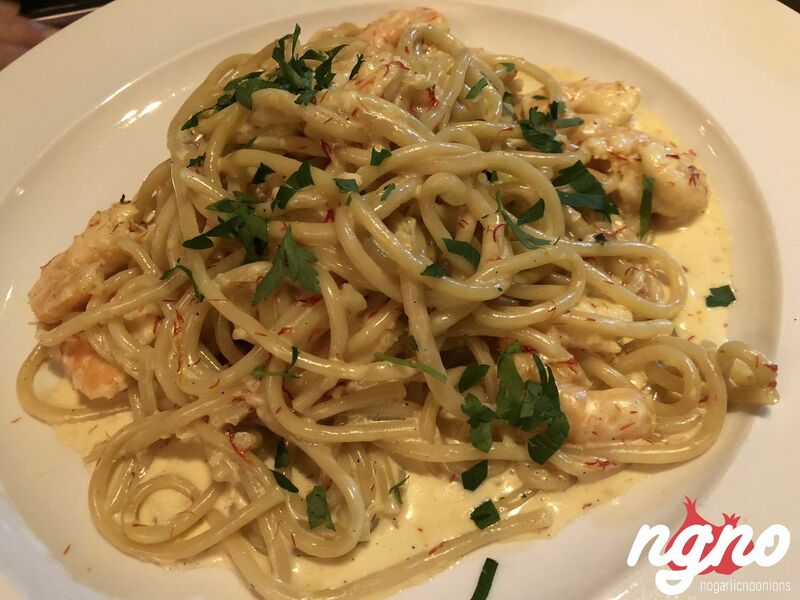 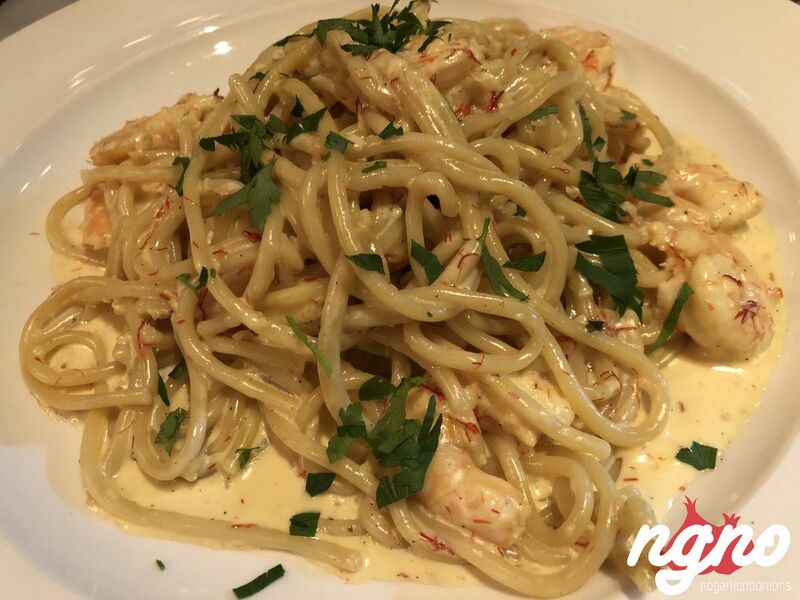 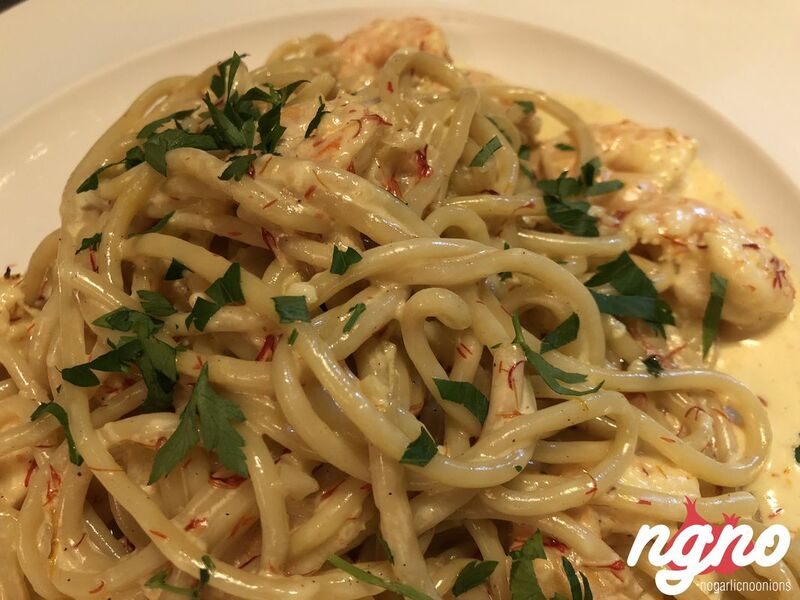 A casual Italian experience on the Antelias highway far from Dbayeh’s hustle and bustle.